Hello there! I can't believe that it's already time for a round up of my monthly favourites, this month really has flown by. 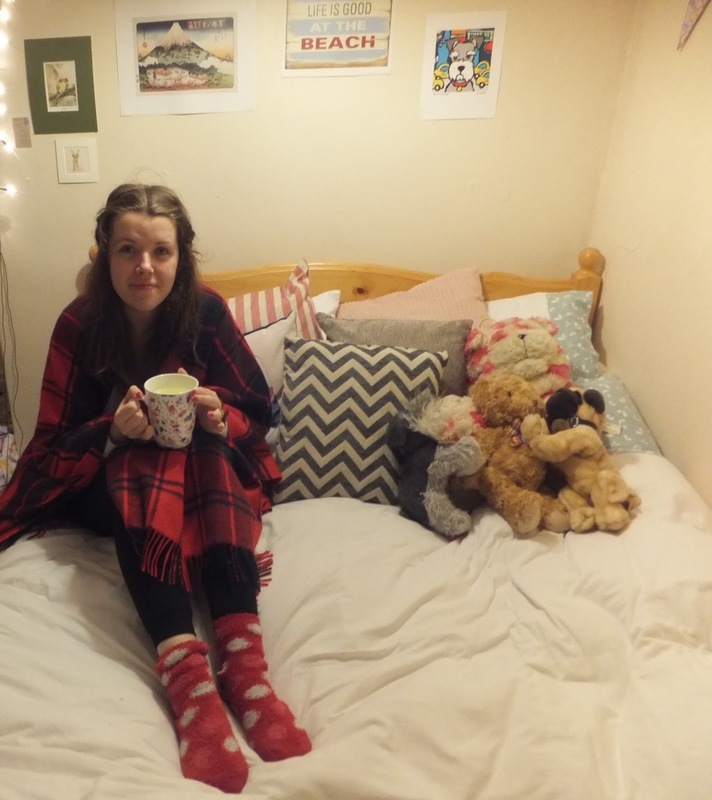 As it's getting a lot colder outside you may spy the theme of 'being cosy' to my favourites. If there is anything you would recommend along this theme, then of course I would like to hear about it! My parents bought me this shawl from Scotland on one of their trips up there, and I have gotten a lot of use out of it this month. I love being able to wrap this round myself when I get a bit chilly, and that because it's big enough it can double as a blanket. It's great as you can put the 'sleeves' around your neck when you need to use your hands for washing up etc so you won't ruin it but can remain warm! Along the theme of being comfy and cosy, I had to include these velvet leggings from Primark as they've changed my life. They're thick leggings, and inside the material is velvet and I can't adequately tell you how comfy they are. My mum actually picked them up for me when her and my dad came to stay at the start of the month, as she knew I would absolutely love them. I love being able to come home after a long day at uni, and get changed into these with a comfy top. I wouldn't personally wear them out as I want to save them for more relaxing times, but I would highly recommend you pick up a pair! 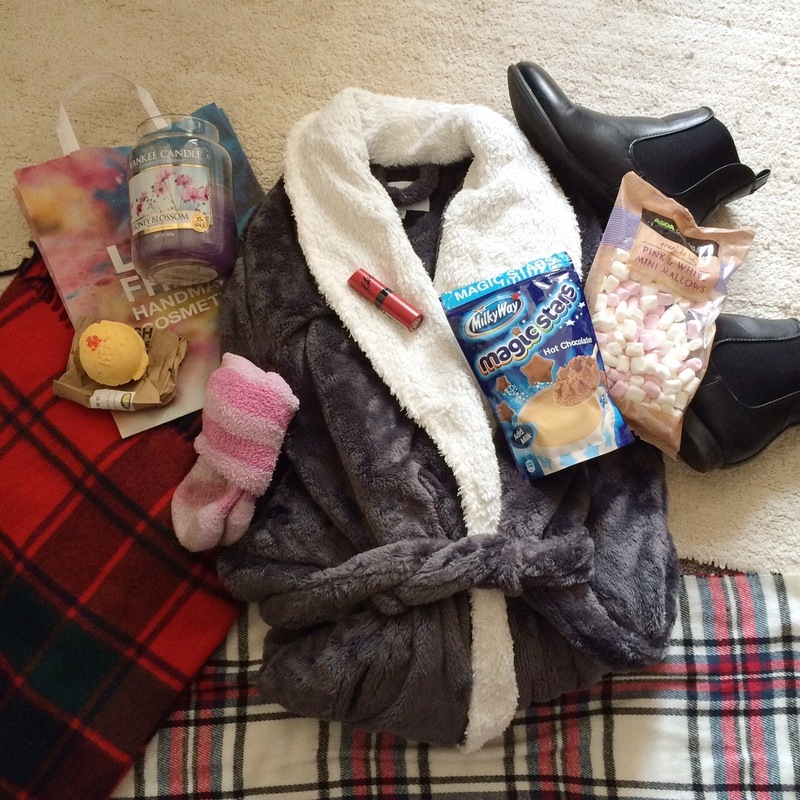 You'll have seen my dressing gown in my autumn essentials post, and I still love it as much as I did then. 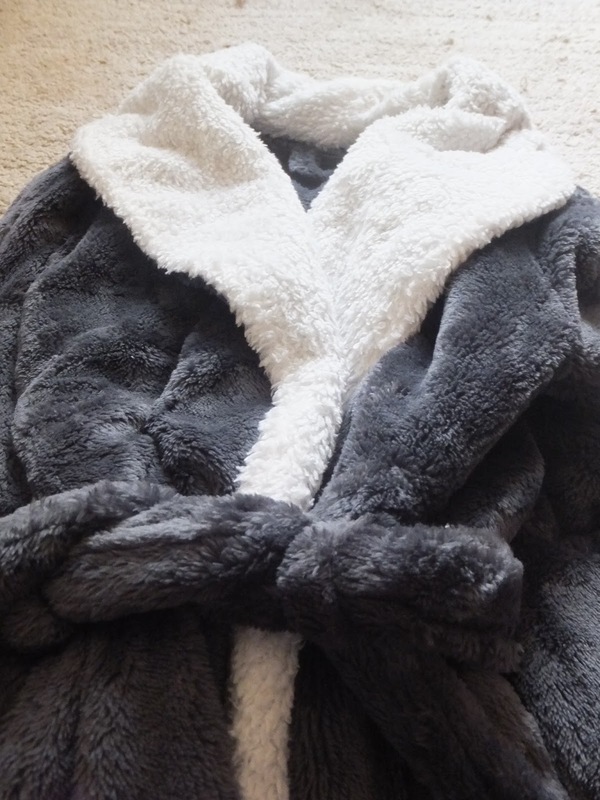 As it was getting colder I wanted a longer and cosier dressing gown, and this one from Next is perfect. I love being able to get up in the morning and put this on before going to make a cup of tea. It's also great for the evenings if you get a bit chilly. Just look at how cosy it is! Now as you know I am a lover of tea, but I've been having a mug of hot squash regularly this month. It's when I'm a bit chilly and I want some squash over tea, so I've been opting for a hot version. 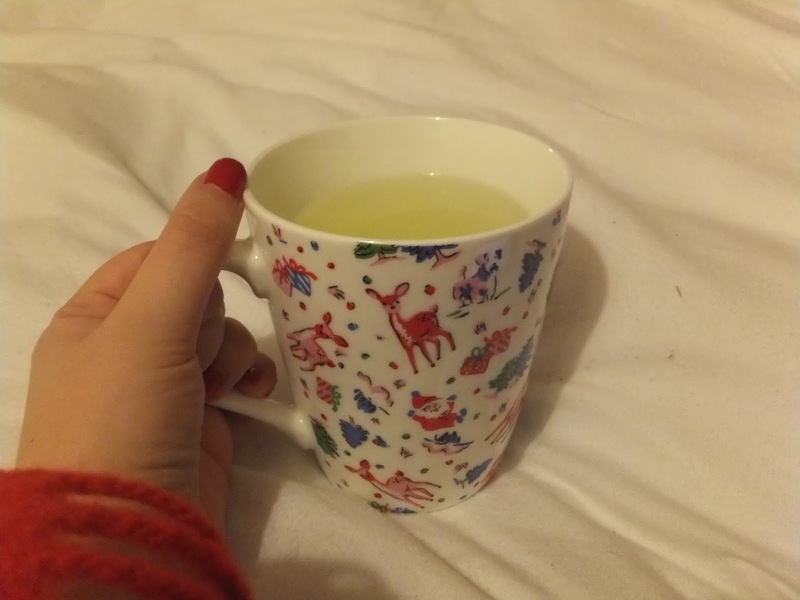 I know some people think this is a bit strange, but I would really recommend it, especially if you're someone who doesn't like tea/coffee but are a bit chilly and could do with a hot drink! 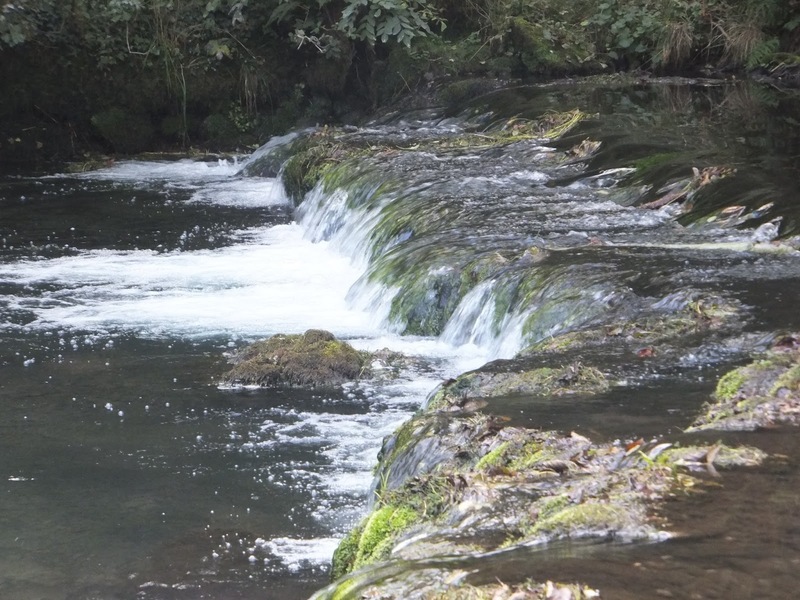 I have been loving TV at the weekend this month- both Strictly and Downton have returned! I used to really like Strictly when I was younger, but didn't watch it for a while until I got back into it this year. At the moment I really like Peter and Georgia- have you been watching it? Who do you like? Downton-wise I'm sad that this is the final series- will there be a christmas special?! I know a few people fell out of love with it after the first few series, and I can see how it did change, but I think this series is a lot better than the last one! So if you used to love Downton why not watch the final series? I wonder how they'll leave it? Although it's getting darker earlier, and is a bit colder outside, I do just love this time of year! 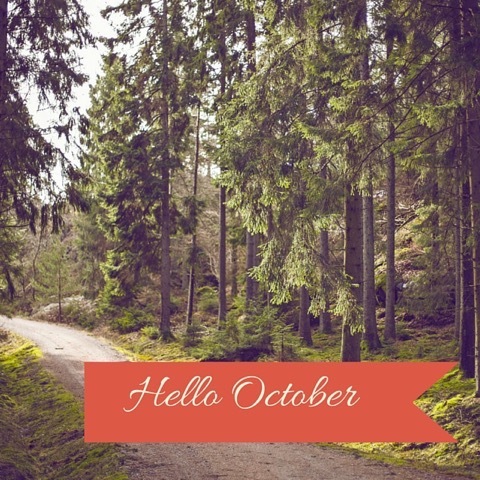 What have you been loving throughout October? Hello there! My these weeks seem to be flying by! This past fortnight as usual has been jam packed. I'm enjoying having evenings and weekends off, as I'm trying to complete my work during the week (and so far this is going well! ), so I've been able to do a lot of different things with my time. 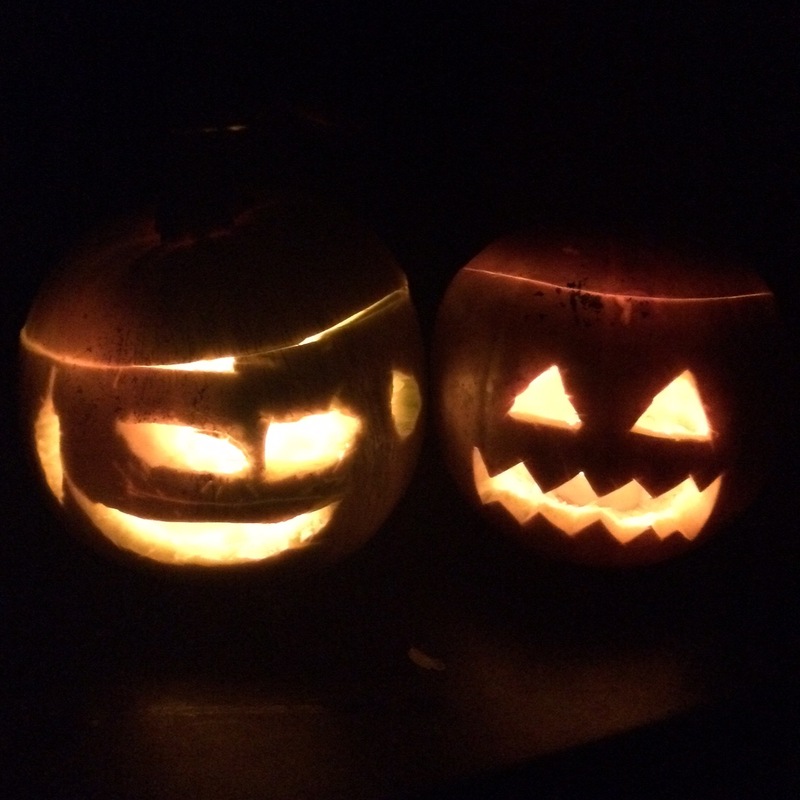 As you may have seen from my facebook/instagram, Tom and I carved pumpkins one evening. Neither of us had ever done this before, and it took more effort than we thought it would! Can you guess which pumpkin I carved? Tom and I went to Sheffield Arena (it used to be the Motorpoint) to watch Michael McIntyre. Now Tom and I had booked these tickets not this summer just gone, but the one before, so we couldn't believe the time had come to actually go and see him! As we knew the food places would be busy around the area, we left quite early and so stopped at Starbucks for a drink before going for a meal. I always hear people rave about the pumpkin spiced latte's, so I thought it was about time I finally tried one. I wouldn't go as far to say that I loved it, but it made a nice change and I know I probably will have it again, but I wouldn't rush out to get one kind of thing. Once I had finished my coffee, we had to decide where to go for our meal. If you've been a reader for a long time you'll know that Tom and I go to Prezzo's a lot, and we tried to go somewhere different but the wait in one restaurant was an hour, and when we tried to go to Bella Italia it was closed for refurbishing, so we ended up at Prezzo's anyway! I'm not complaining as we adore their pizzas. Because of my coffee I was still a bit full, so I went for the 'light' tropicana pizza, which I really enjoyed. 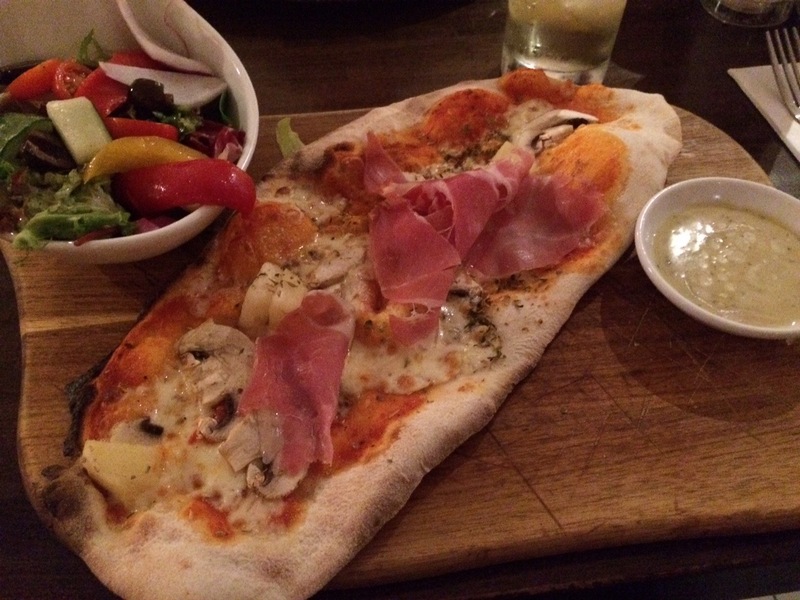 Normally I'll get a large pizza and then take half home for lunch the next day, but I didn't really think I could take half a pizza in to see Michael McIntyre with me! Michael McIntyre was really good and I would definitely go and see him again- he had a support act too, and he was also really good. It was the first time I had ever been to see a comedian with a support act though! On the Saturday I went with a group of friends to Pop Tarts (club night at the union for anyone who has missed me talking about it before!) as a pre-celebration for my birthday. 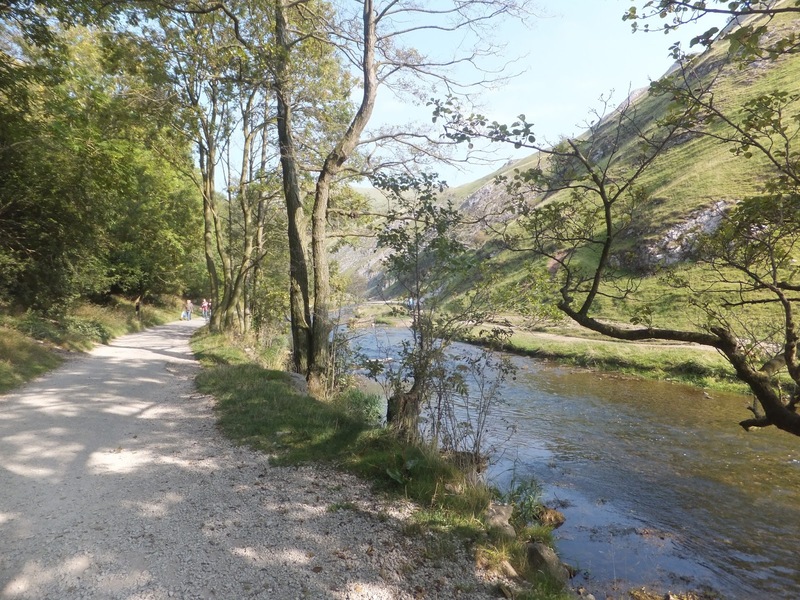 It's actually my birthday today (Sunday 25th) so my next fortnightly catch up will include what I got up to on the actual day! Going to Pop Tarts was a welcomed break, and who doesn't enjoy dancing/singing to The Spice Girls? On Wednesday of this week just gone, Tom and I went to a postgraduate talk at Sheffield Hallam University. As Tom is the one who is interested in a masters, I tagged along so I could finally see inside the 'rival' University, and it was great as while Tom talked to the lecturers I helped myself to a cup of tea and some brownie (oh my was that brownie good!). Once the talk had finished we went on the tram to Meadowhall to meet up with Tom's mum and stepdad. 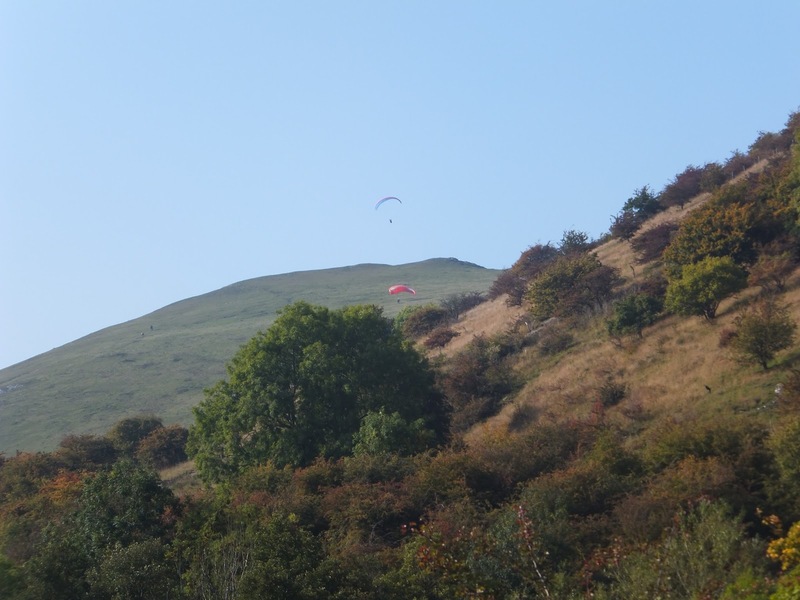 They had been up in Yorkshire for a holiday, and popped in to see us on the way back home. We went to Frankie and Benny's for tea, and it was lovely to see them up north! Somehow (I'm not quite sure how) I managed to convince Tom to come and see the northern ballet's adaptation of George Orwell's 1984. Neither of us had read 1984, or actually really knew what it was about, so it was a new experience for us both! From what Tom has said, he did enjoy it, and so I hope this means he'll come to another one with me. I already knew the story of all of the other ones that I have seen, and so it made a change to see one without any prior knowledge, and I think it made us pay even more attention so we could work out what was going on! I really hope that you've had a good fortnight- what have you been up to? Hello there! 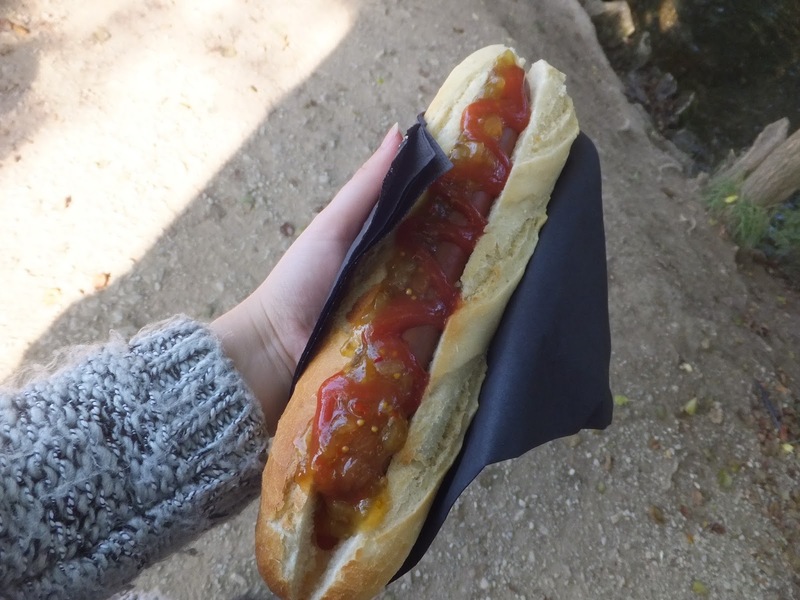 Today's post isn't technically a 'baking' one, as you don't actually cook anything, but you still make super yummy treats so I'll go with that! 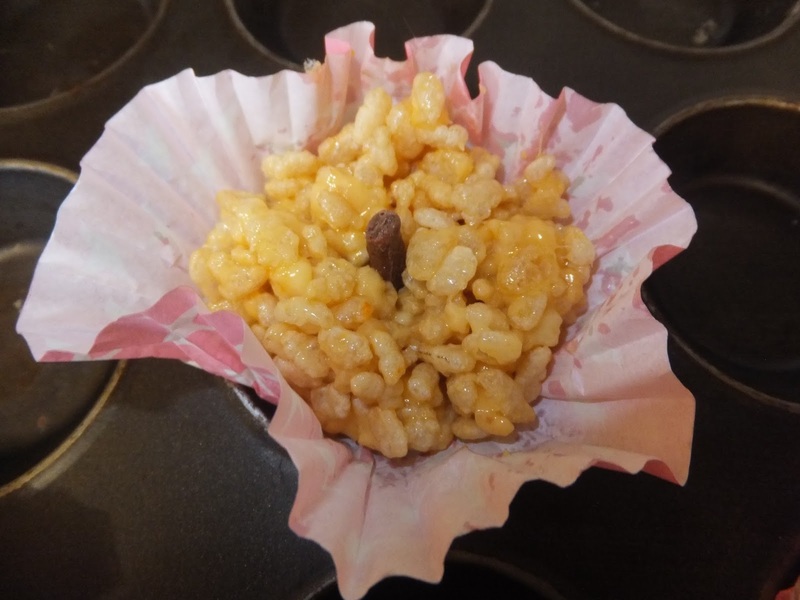 You may remember my halloween treats from last year, and so I decided to make some this year in the form of 'pumpkin' rice krispie cakes. 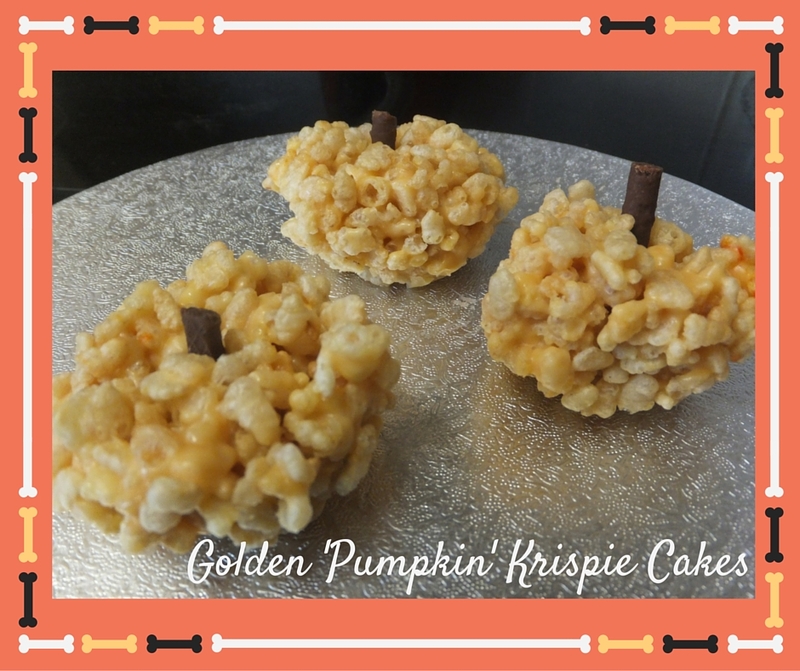 They don't contain pumpkin, rather they are made to look like them! These don't take long to make at all, so if you have a halloween party coming up and need something last minute, these would be great to make. 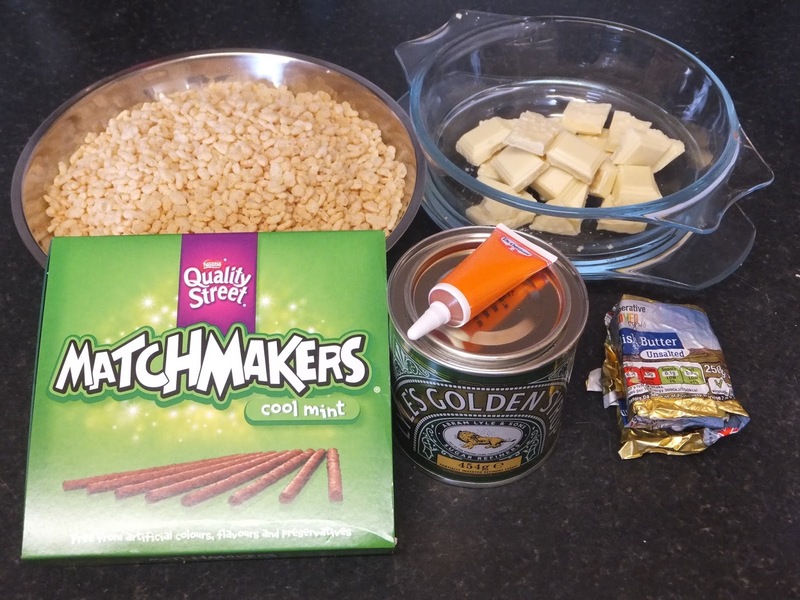 Matchmakers- I used these for the stalks, but you can use whatever you like/think would be best! Step two: Melt the butter- if you are able to put a bowl over a pan to melt your butter and chocolate together then that's great. If, like me you are unable to do this, just use the microwave! I did each separately rather than together. Once you have melted your butter; melt your chocolate. I did this in the microwave in small bursts, and made sure to take the container out each time and give the chocolate a stir. 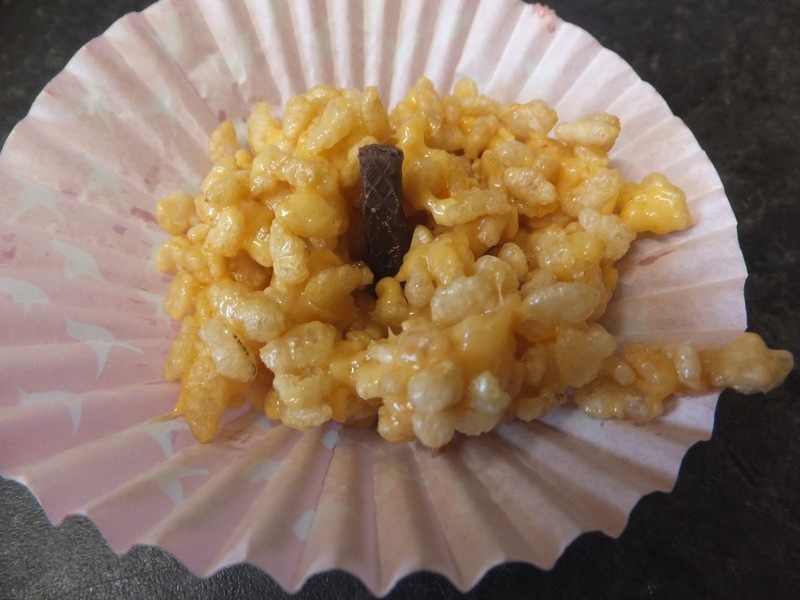 I realised on breaking up the chocolate that I had actually bought white chocolate with mini rice krispie bits in already- this didn't really matter but if you can, just get the plain version! Step three: Prepare your cupcake cases so they are ready to be used. Stir the chocolate and butter together, before adding the syrup. 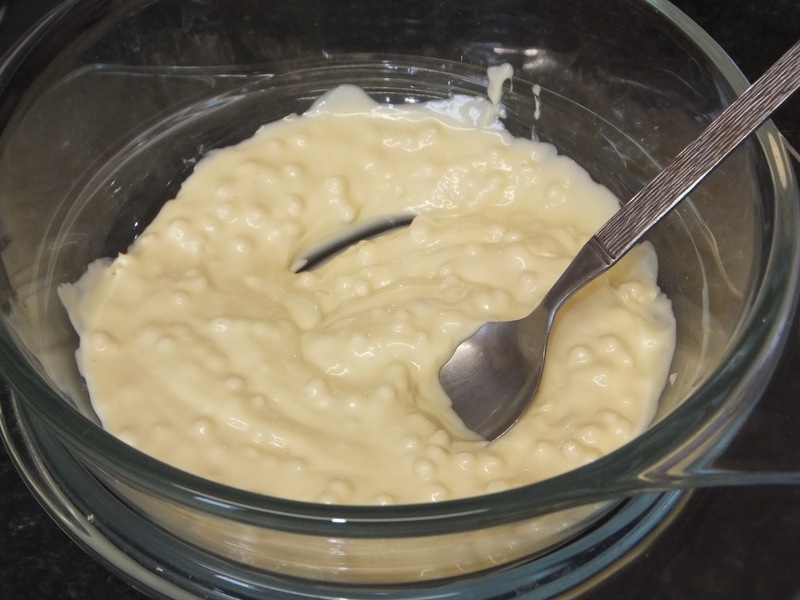 I added the food colouring at this stage, but they didn't come out as orange as I was expecting- I wonder if you added the colouring to the melted white chocolate before adding the butter and syrup whether this would make the colour more pigmented! 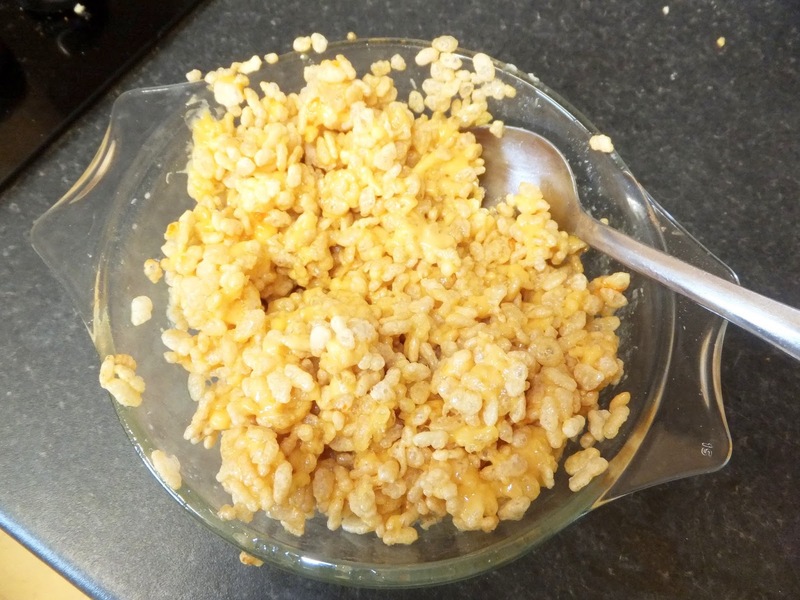 Once everything is combined you then need to add your rice krispies! Step four: You now need to create the 'pumpkin' shape. 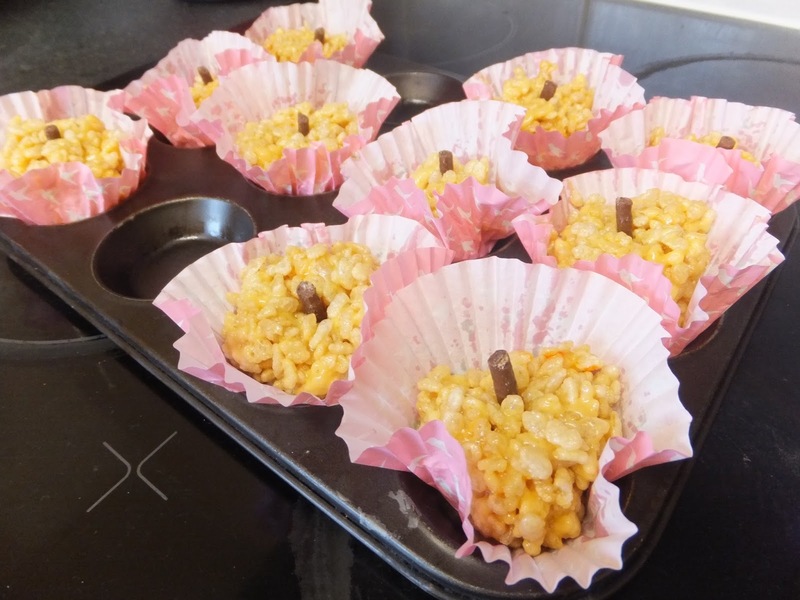 Flatten out the cupcake case, spoon a bit of the mixture in, add the 'stalk' part to the middle of the cake, and then through putting the cupcake case into the cupcake tin, mould the mixture onto the stalk and create the shape. Step five: Once you had made all your cakes they are ready to be put into the fridge to set. This shouldn't take too long, so check back in half an hour or so and they should be good to go! Once set you can take the out of the cupcake cases and place them on a plate ready to be served. 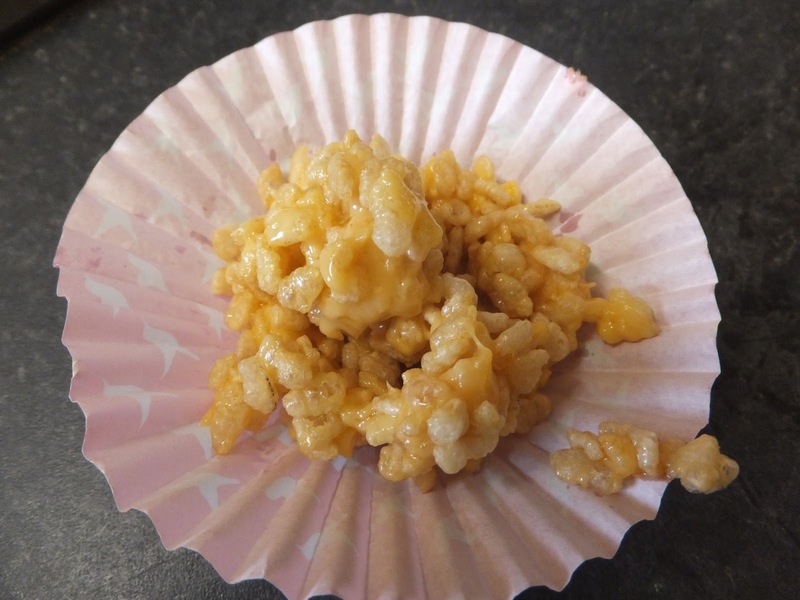 Having not made 'shaped' krispie cakes before I was really pleased with how they turned out- I just wish they were a bit more orange. 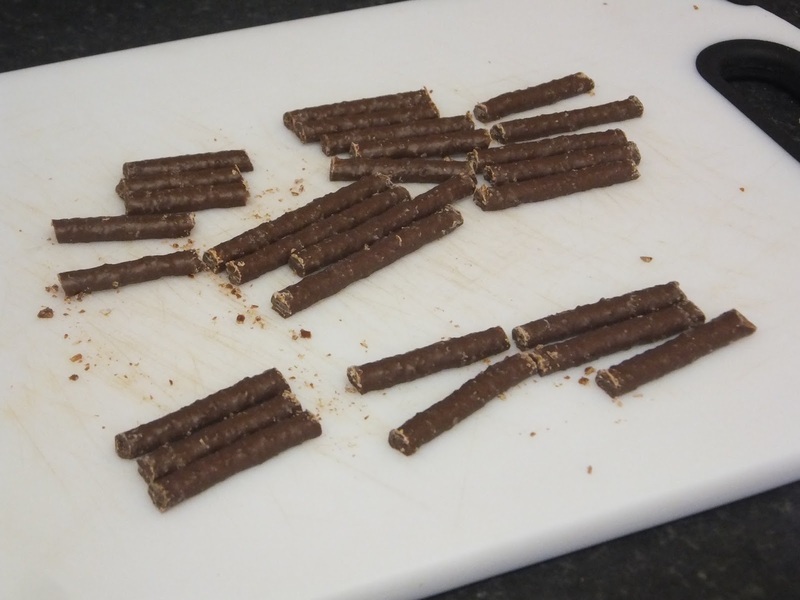 These make a great snack and I know adults and children alike will enjoy making/eating them. As always if you have a go at making these please let me know! 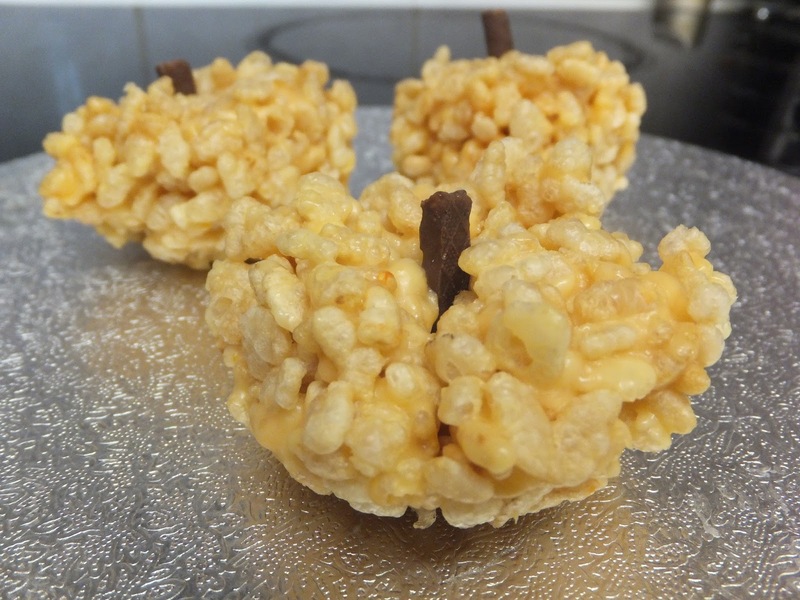 Are there any halloween treats that you'll be making this year? Hello there! 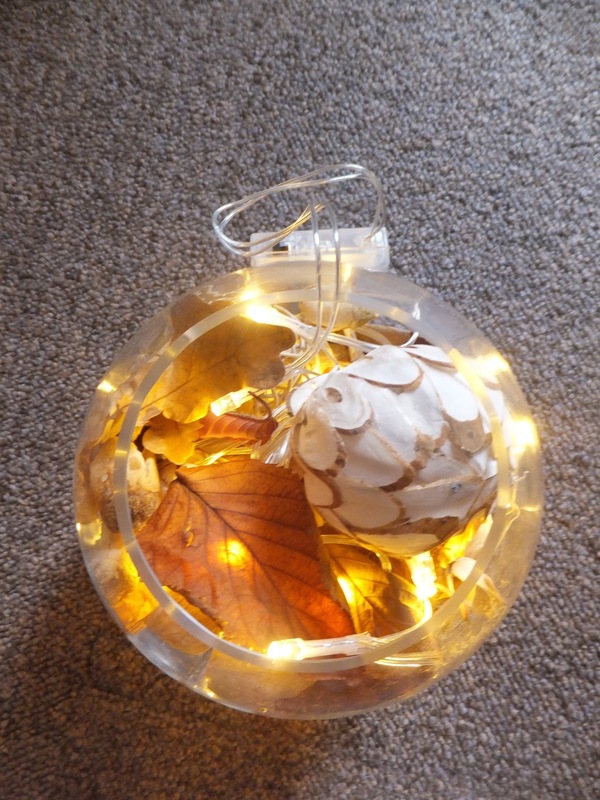 Now if you've been a reader for a long time then you know that I love autumn, and I love homeware, so for today's post I thought why not combine the two and create a DIY project? I love putting out new decorations in the house, and if it's really easy to make/cheap to do then why not? 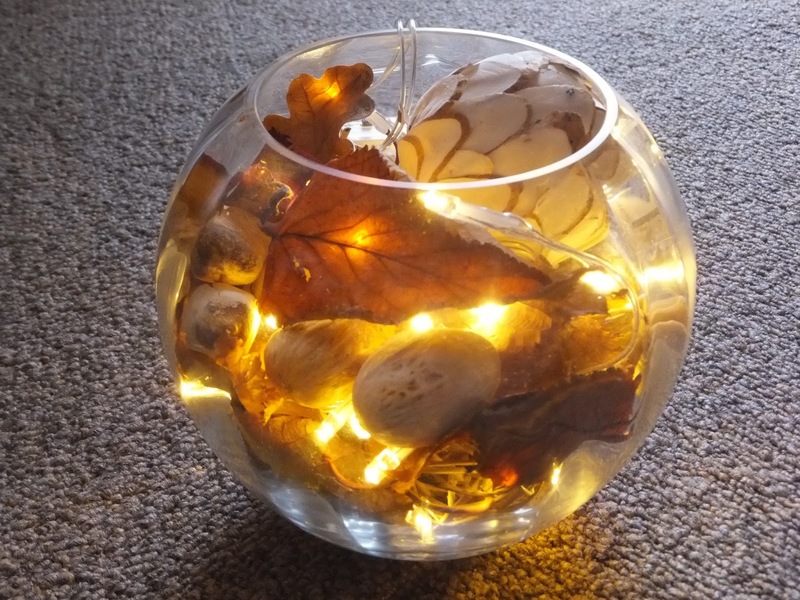 As the night's are drawing in I know this will add a cosy glow to the lounge in an evening/dark day. This is super easy to do and looks really effective! 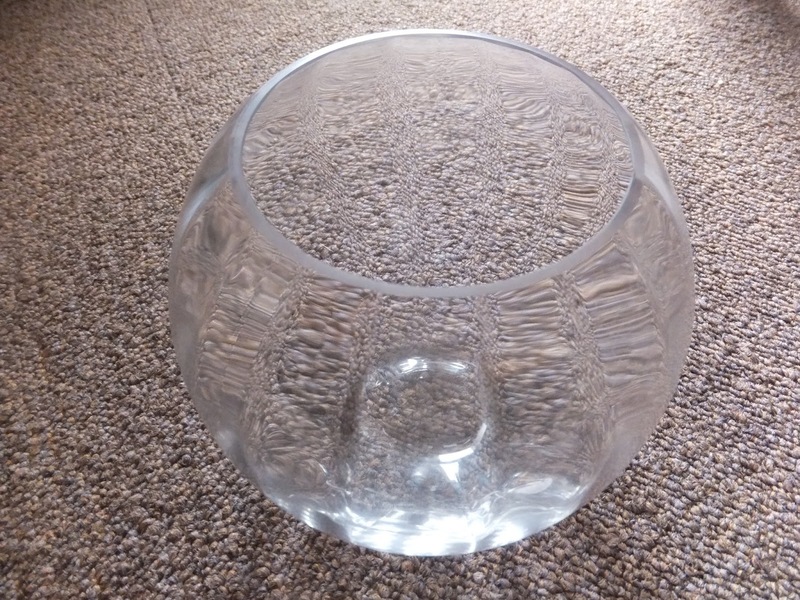 Bowl- I bought this bowl from Wilkinsons last year and had some potpourri inside, and as this was getting old I decided to just use this bowl rather than going out to buy a new one! But if you don't have a spare bowl to hand, things like this can be picked up cheaply from different stores. Fairy lights- I bought these from Primark for £2.50, and I think battery operated ones are easier to use as you're not restricted on where you can put the bowl. 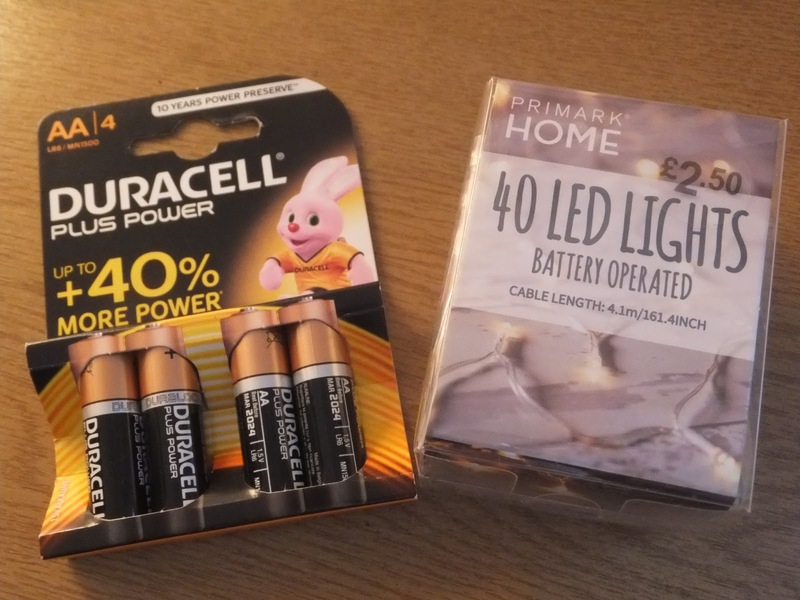 If like me you go for battery operated ones, then obviously you will need some batteries! 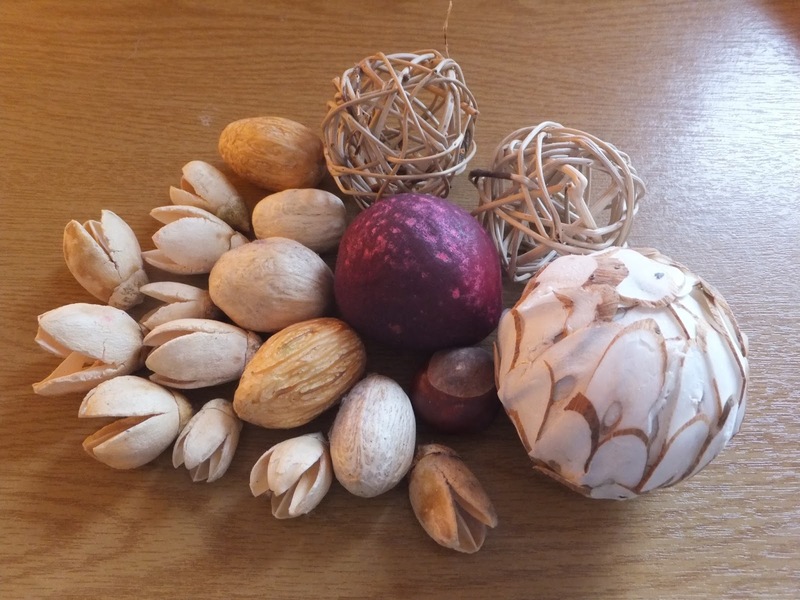 'Wooden bits'- Aside from the conker, all of these were a part of the potpourri that I was throwing away, and I decided to keep them as I thought these would add a different texture to the bowl. If you don't have things like these to hand, then you could probably find some cheap potpourri packs like the one I originally had and use bits out of that! 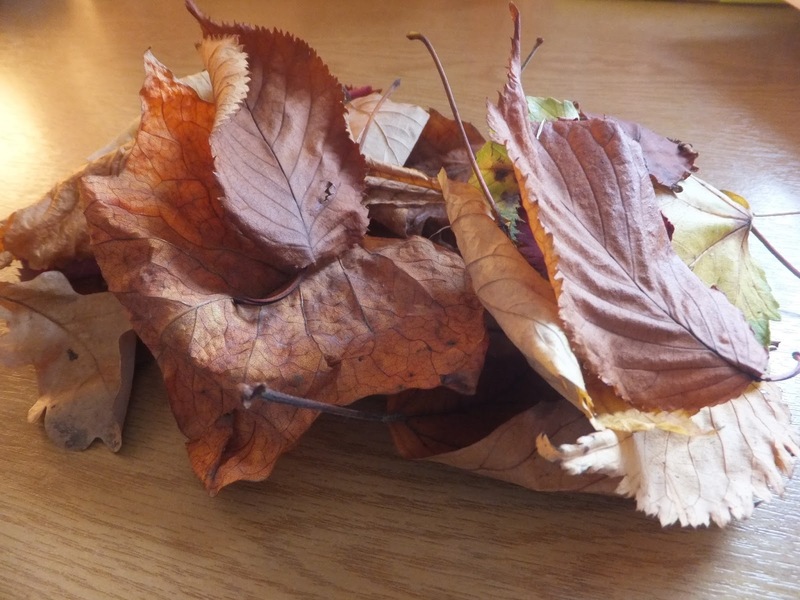 Leaves- Last weekend I took a walk through the local parks and picked up various sized/coloured leaves (and the conker) to add to my bowl. If you have children then this would be a great idea for an afternoon activity with them, as I know I would have loved it when I was younger! Once home I laid out my pieces on a towel and left them to ensure that they were fully dry. It's very simple- you essentially have to layer everything up! 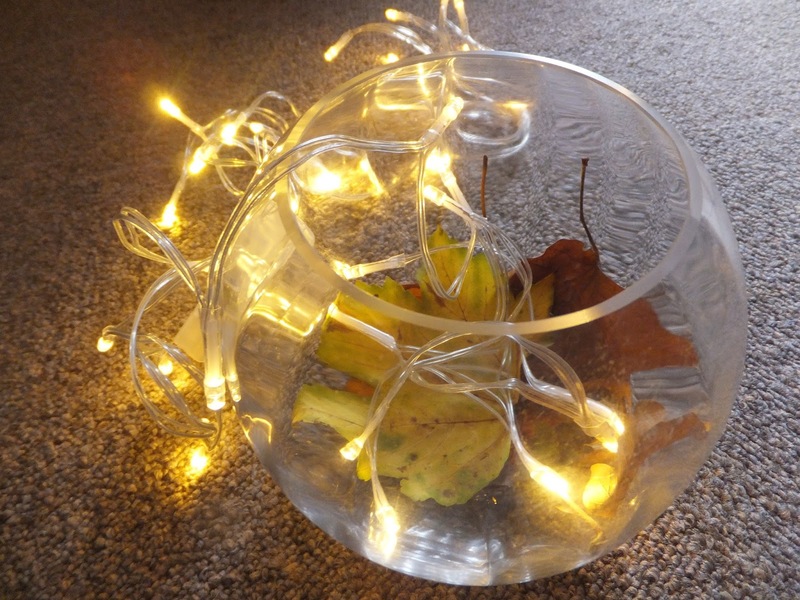 I started off by putting some leaves in the bottom, and then began to place the fairy lights inside (starting from the end that's not connected to the battery pack). It's easier if you put the fairy lights on whilst putting everything in so that you can see where the light will be coming from. I found that I put most of the lights in and then put the leaves/wooden bits in-between and rearranged them until I was happy with the outcome. Once you have put everything in and are happy with how it looks you're all done! If you place the battery back at the back of the bowl it can easily be reached when you want to turn on/off the lights. 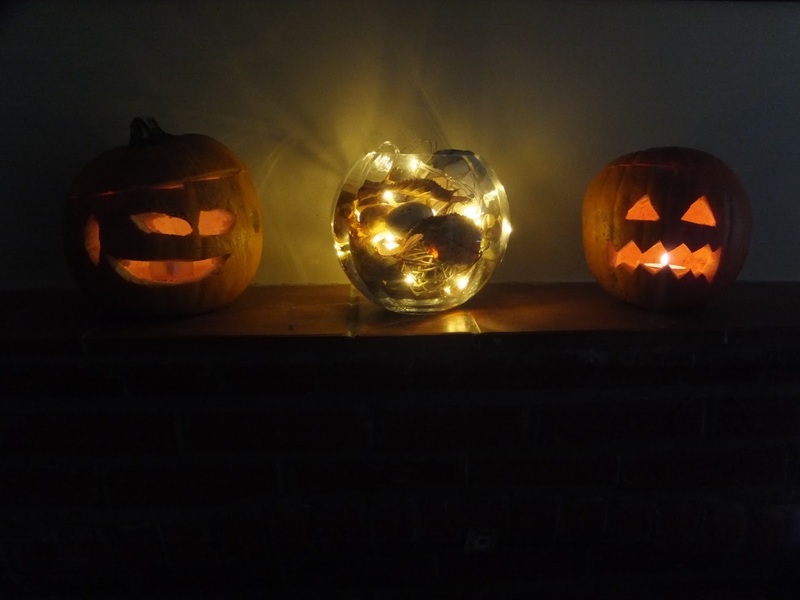 I've put my bowl in the lounge on the mantelpiece alongside the pumpkins Tom and I carved the other evening- can you guess which is mine? I'm really pleased with how this has come out! It's great as you can fill it with whichever bits that you have personally found, so everyone's will be unique. 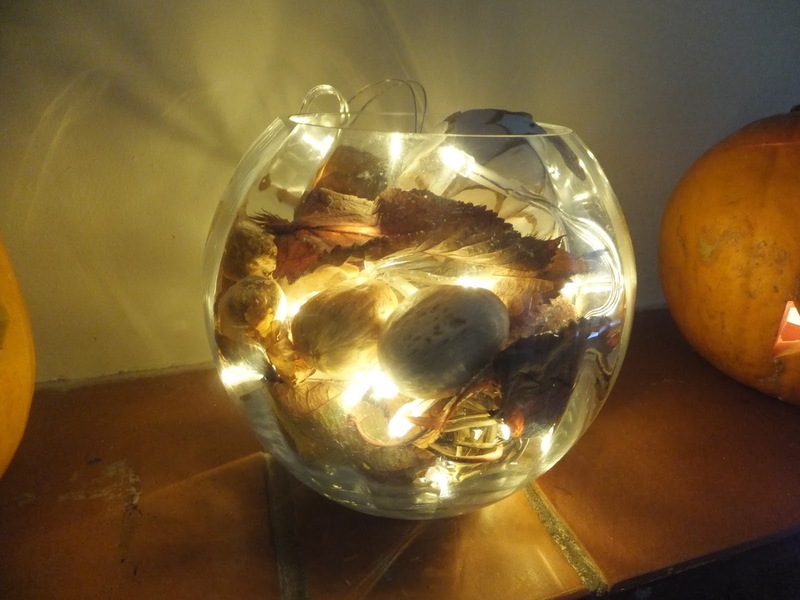 I really hope you've enjoyed this DIY- please let me know if you recreate it! 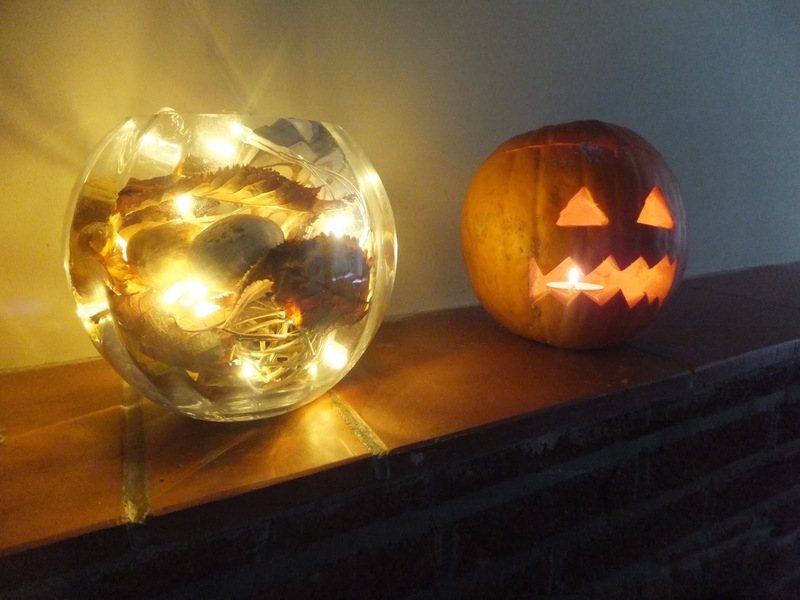 Have you completed any other DIY decorations recently? I'm always after new things to do! Hello there! 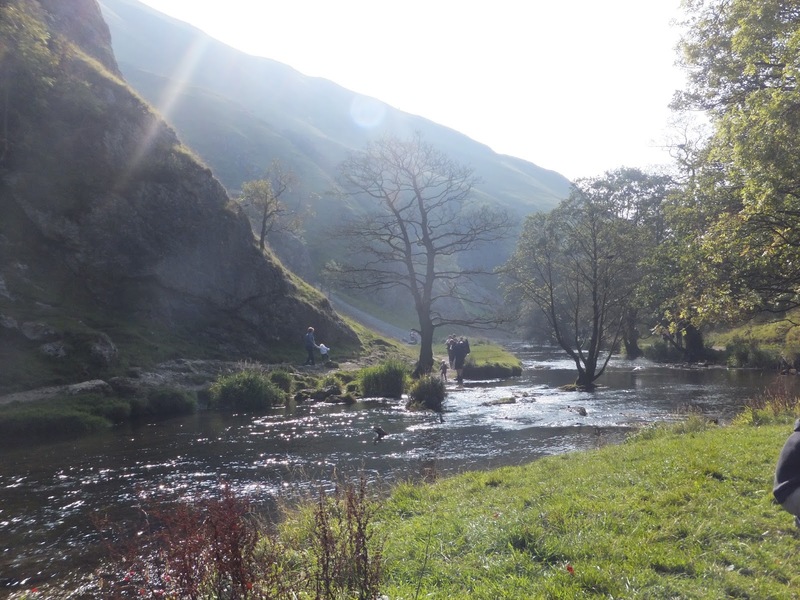 I think it is safe to say that we are now in the depths of autumn. 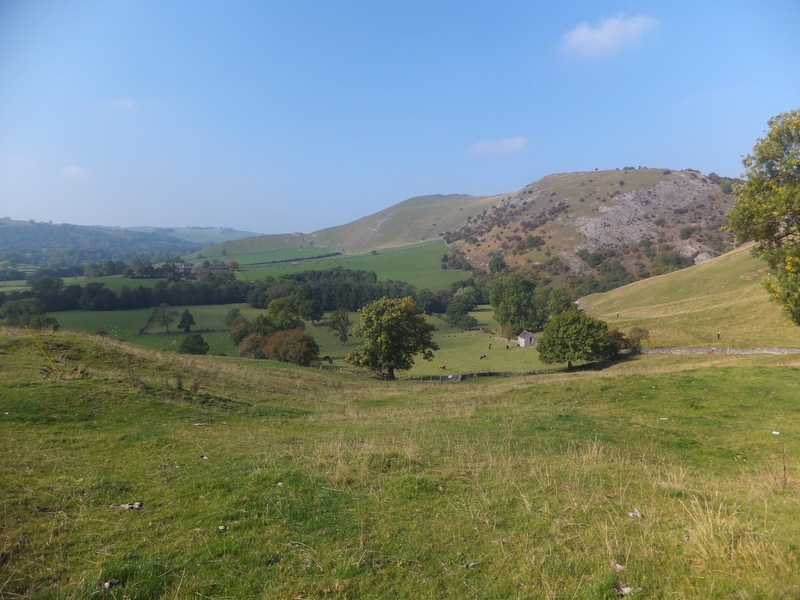 Now as you may remember from my love of autumn post last year (how has it been a year already?!) 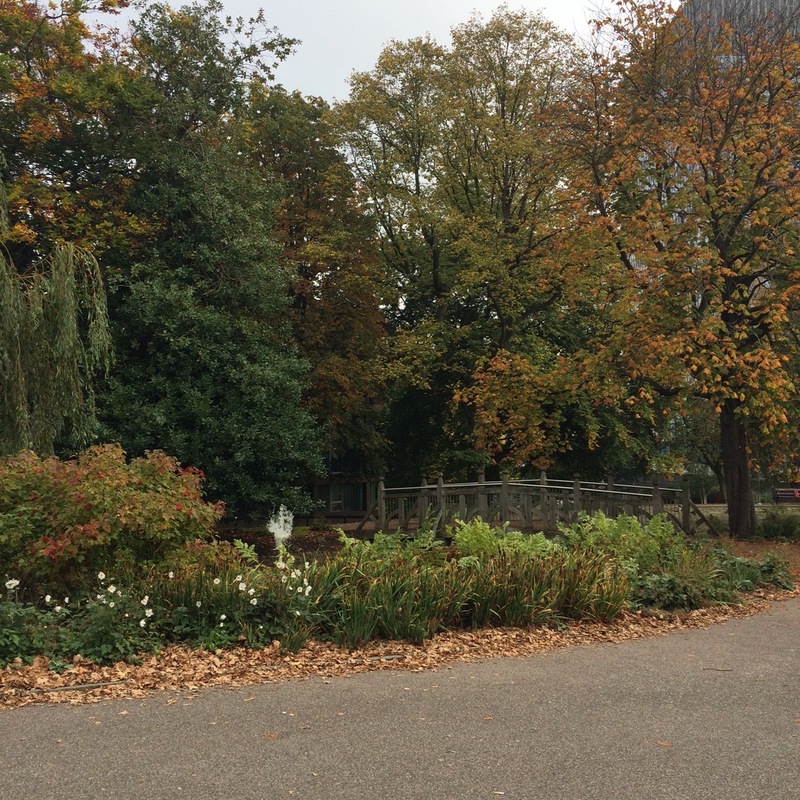 autumn is my favourite season of the year. As it is my favourite time of year I thought I would share with you what are my essentials for the season. Okay so I enjoy a bath all year round, but particularly as it gets to autumn/winter time I love having one in the evening and then getting into cosy jammies. 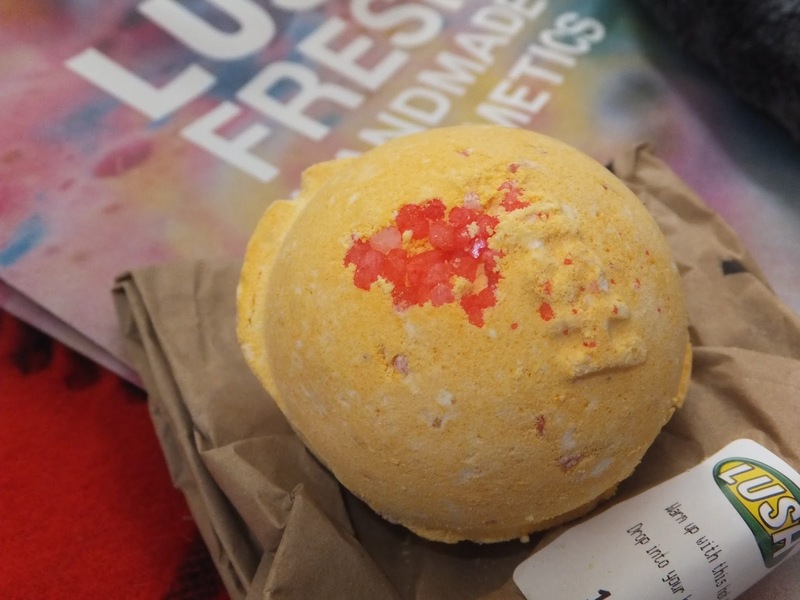 As you may have seen from my fortnightly catch up post this week, I went to an event at Lush at the weekend, and this one entitled 'Cinders' is one of the bath bombs that I picked up. From the description the red bits seem to be popping candy, so I'm looking forward to seeing what the effect is in the bath. I especially love visiting Lush this time of year because all of their seasonal products are back in stock, and so I may just have to use this one on bonfire night! Once I have used a bath bomb I like to keep the bag it came in, tape it up, and pop it in a draw so it keeps my clothes smelling nice! Again, I love having a candle lit throughout the year, but as the nights start to get darker (and even the days sometimes!) it's lovely having a cosy glow in my room. 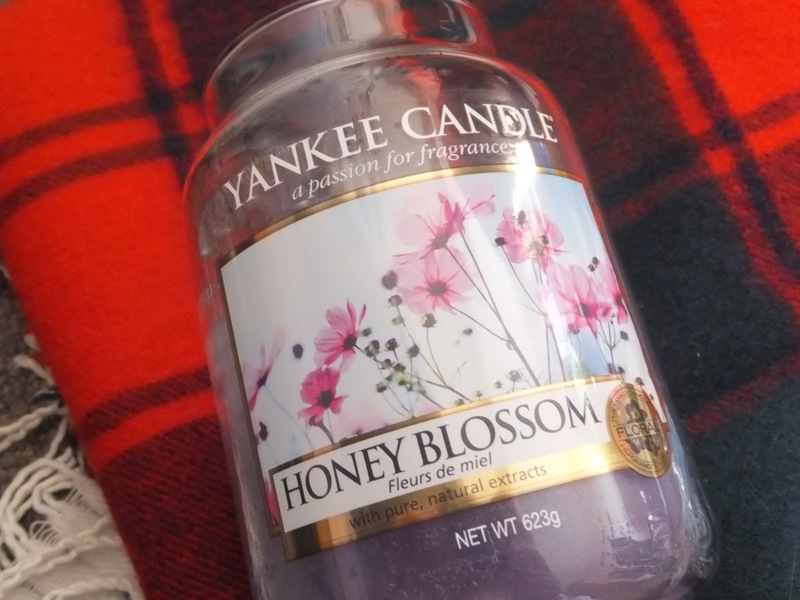 Although seemingly a summer scent, this Honey Blossom candle makes my room smell amazing, and I'm looking forward to mine and Tom's annual trip to Meadowhall in November to pick up a more autumnal/wintery one. I can't wait to be able to buy more than one at a time so I can put them in different rooms around the house, but as I'm unable to do this at the present time I have to restrain myself to one! 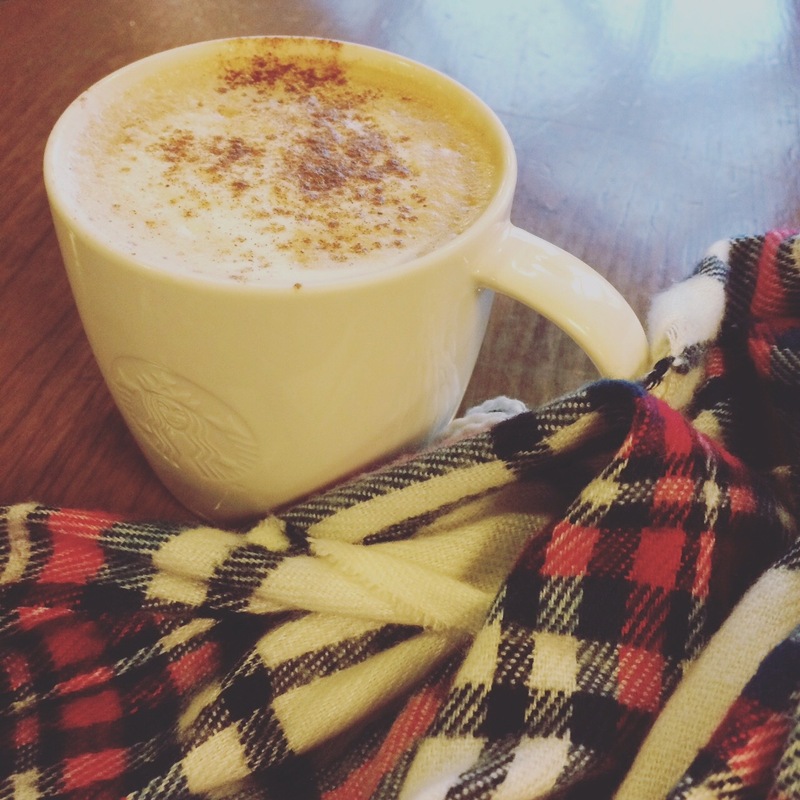 Where would we be in autumn without a hot drink? Although I drink tea and coffee throughout the year, I see hot chocolate as more of an autumn/winter drink. My favourite hot chocolate (which I may have mentioned before!) is the milky way magic stars one. You pour hot milk over the powder and I think it's this that means it's not one of those hot chocolates that go lumpy, but is silky smooth. 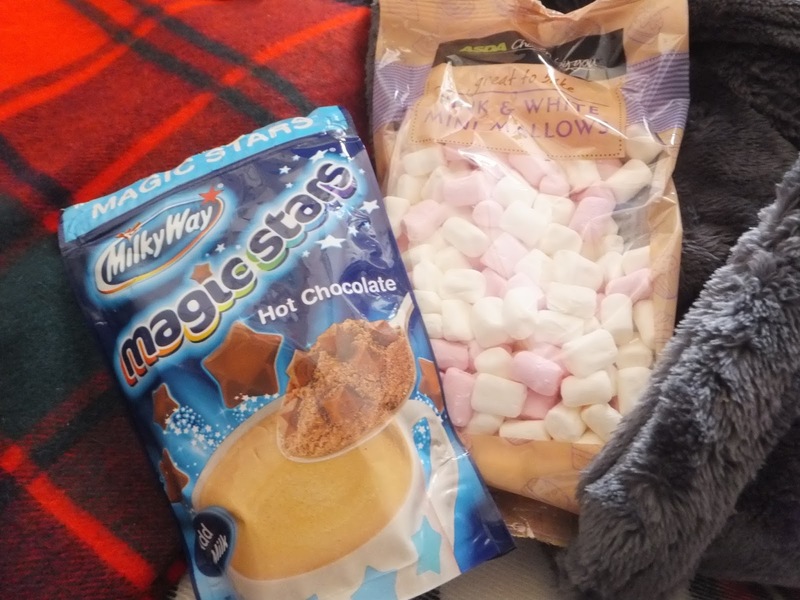 Now, I never just have hot chocolate on its own- you need marshmallows on top! What I also really like to do is put the mug back in the microwave when the hot chocolate and the marshmallows are in, so that the marshmallows melt a bit and go all gooey. Autumn is the perfect time of year to be whacking out the berry lipsticks. I was always someone who was a bit nervous about wearing a bright/bold lipstick, but now I absolutely love it. 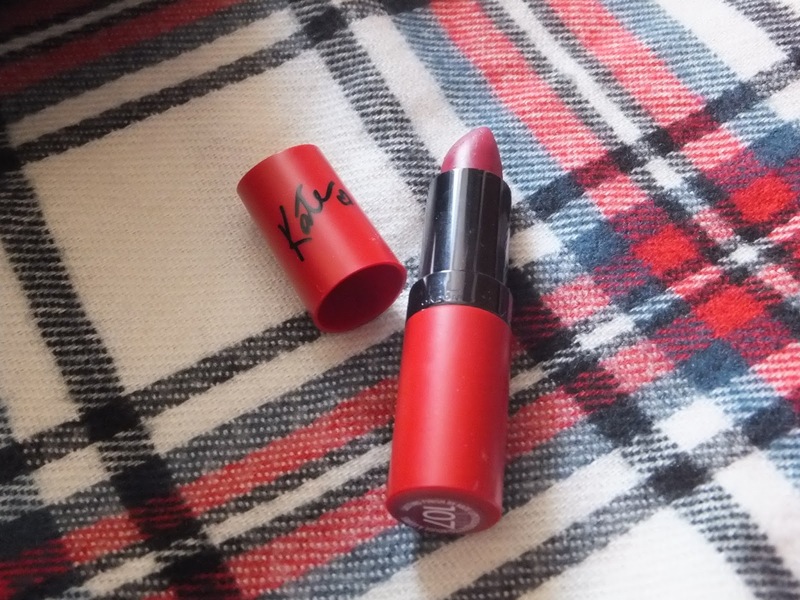 I recently picked up the Kate Moss 30 and 107, the 30 is a purply berry colour, and 107 which is more of a red berry colour. I especially love wearing a berry lip with my dark denim pinafore, and an oversized cardigan. Cosy socks are a must as it starts to get colder! I love coming home after a long day, getting into comfy clothes and putting a pair of these on. 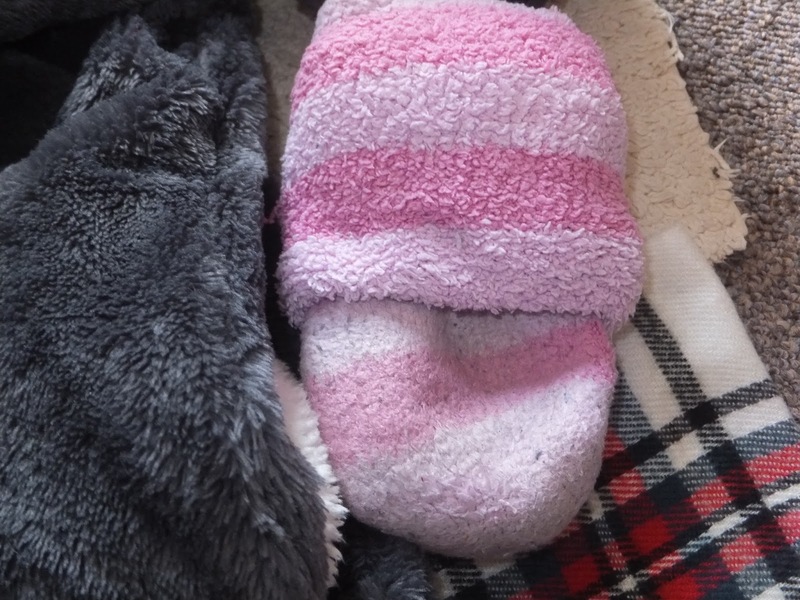 If you're someone who gets cold feet during the night then you definitely need to pick some of these up! You can get packs from Primark quite cheaply, and in a range of colours. 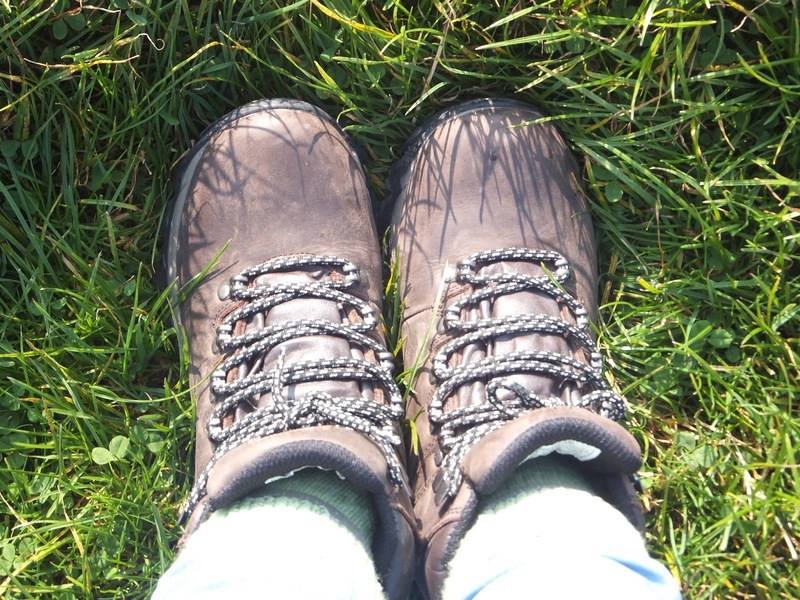 I remember when I was younger always looking forward to buying a new pair of boots for the winter. 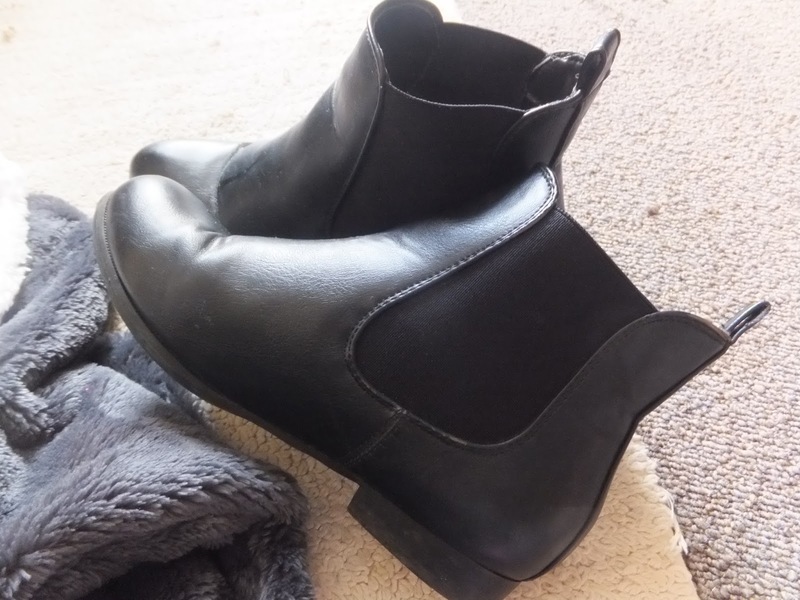 These boots are great to wear with both jeans and skirts/tights, and I've had so much wear out of them already, that I know they'll last me all season. I'm looking forward to pairing them with a skirt/top combo, with a thick scarf, a big cosy coat, and a berry lip (did someone say OOTD post?). Oh me oh my, I bought this dressing gown a few days ago and I am in love (sorry Tom). I'd had my other dressing gown for a good few years; I feel like I may even have got it before I was with Tom! It's still usable, but it's not as fluffy as it used to be, so I think I'll keep it for spring/summer time. Tom's dressing gown is really cosy, and I knew that I needed one that was even softer (if that was possible). I picked up this one from Next, and it's honestly the softest thing I've worn. If you're in need of a new dressing gown I would definitely recommend this one. What's great is that they come in XS, S, M, L, and XL, but within this petite, regular and tall. As I was able to get a petite one it doesn't swamp me completely and is the perfect fit. Just imagine it; you've gotten into your comfy clothes, put your cosy socks and dressing gown on, it's time to watch Downton on a Sunday evening, and all you need now is a soft blanket! At the moment I have a big basket of makeup and haircare in my room, but once I've moved next year, this is going to become the 'blanket basket'. I have a few blankets, and I think it's good to have enough so if people come over to watch a film etc, everyone can have a blanket to get cosy. 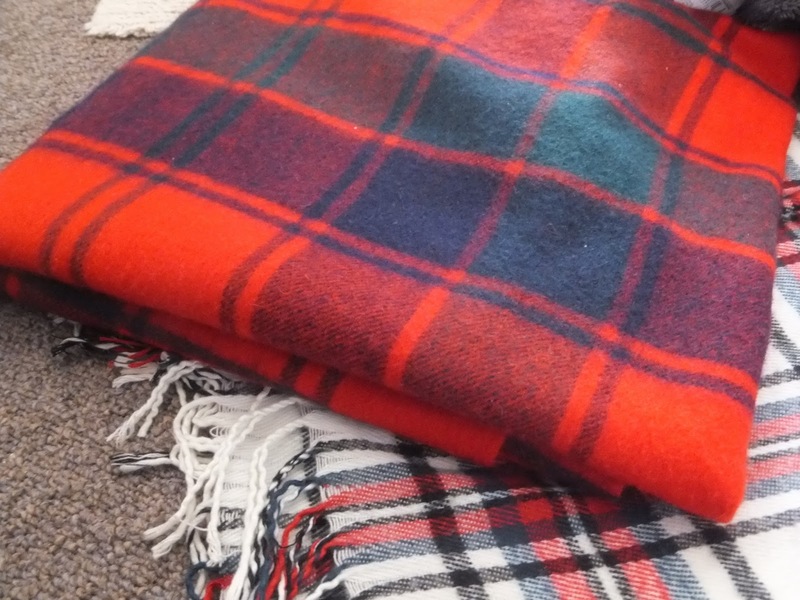 This tartan one is actually a shawl type blanket (and it will be coming up on my October favourites!) that my parents bought for me on one of their trips to Scotland. So there you have what I think are essentials for autumn! What do you see as an essential for this season? Hello there! And how has your fortnight been? As always mine has been a busy one! 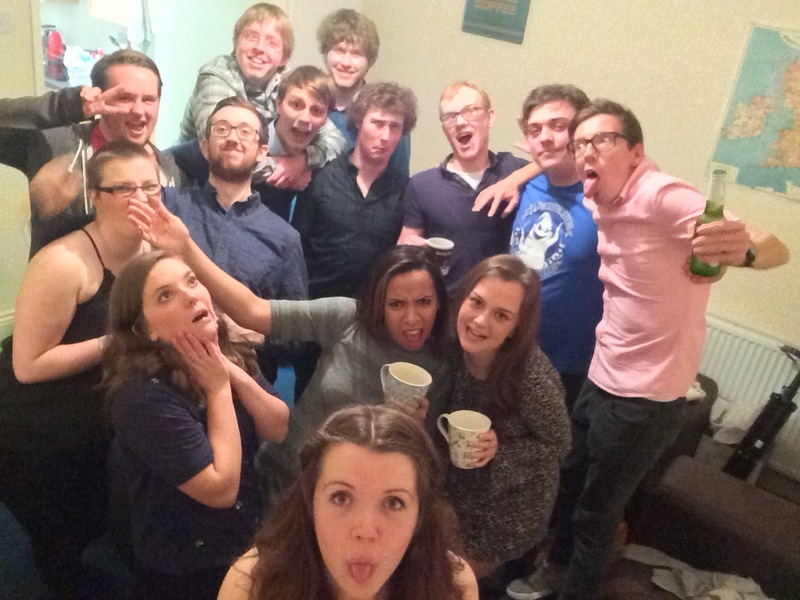 I can't believe that I have now been back in uni for two weeks already- it's going too quickly! After two weeks I'm feeling more into the swing of things, and am getting used to my new modules. 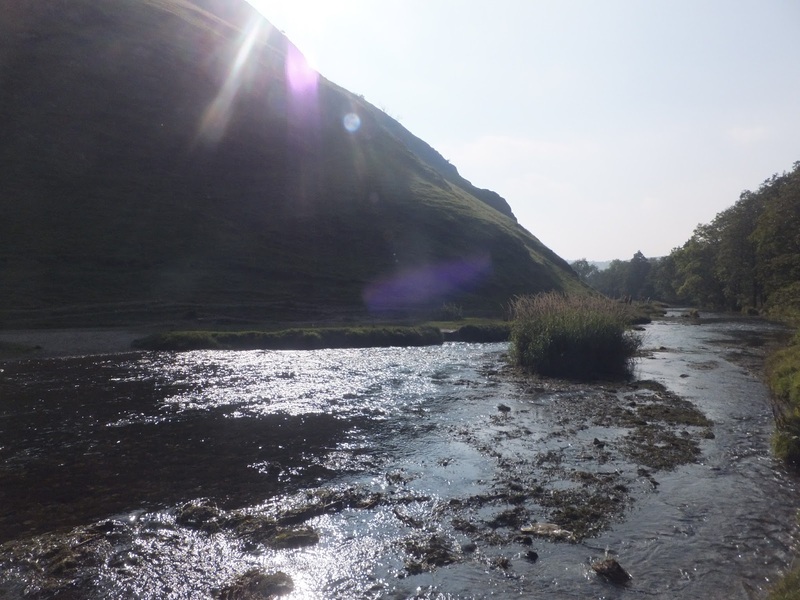 It's strange starting my third year modules, as the Victorian literature element was one of the reasons that I decided to pick Sheffield as the University for me, so it's strange how quickly this time has arrived. Saying that I am really enjoying them and I hope that I continue to do so. 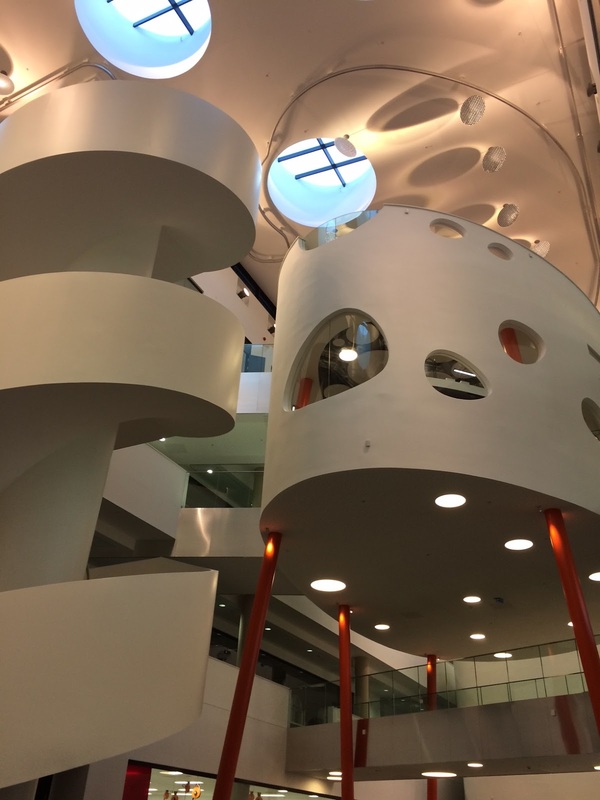 The new University building called the Diamond is now open, and I have to say I have been converted to working in the library rather than at home (this in part owing to the fact that the library has heating). 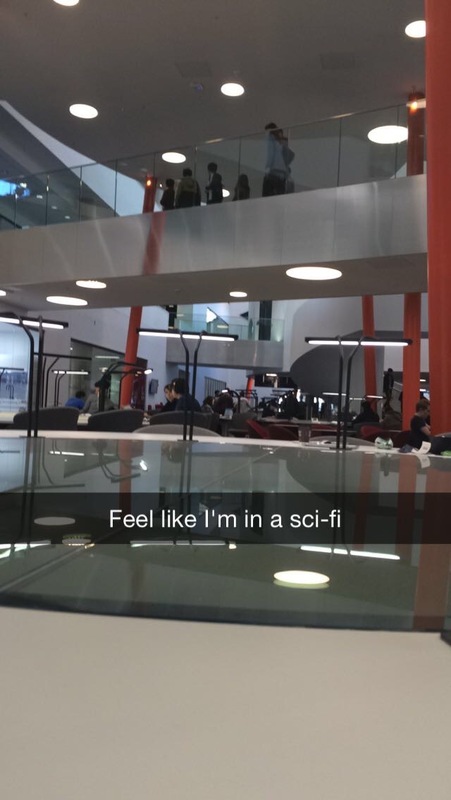 It's quite intergalactic and you feel like you're in Star Trek, but it's a good place to study. October is now here which means four things: 1. it's my birthday this month, 2. Halloween and Christmas will soon be arriving, 3. autumn is well and truly here, and 4. at the end of the month (actually on my birthday) the clocks go back meaning an extra hour in bed! Last weekend my parents came up for the weekend which was lovely as I hadn't seen them since August. My dad had made me an early birthday cake and it was so yummy! 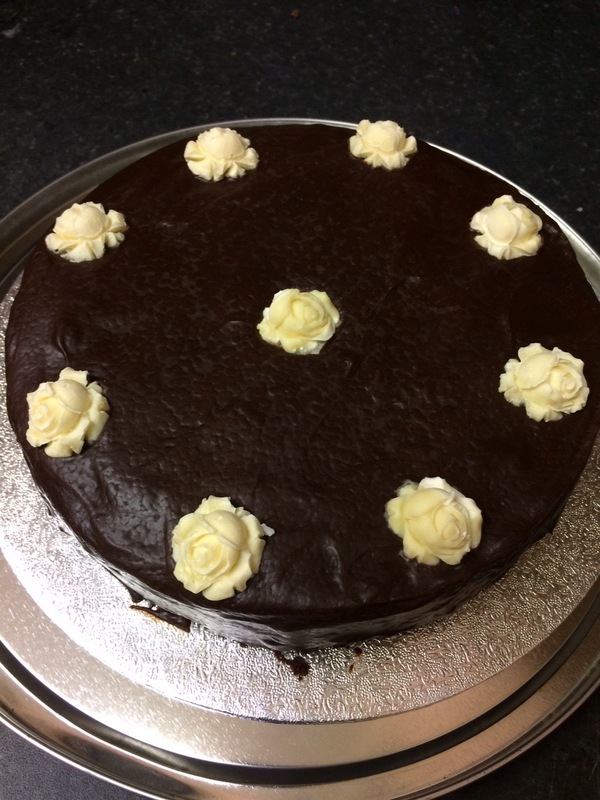 It was actually a chocolate beetroot cake which I had never had, but both my housemates and I really liked it. 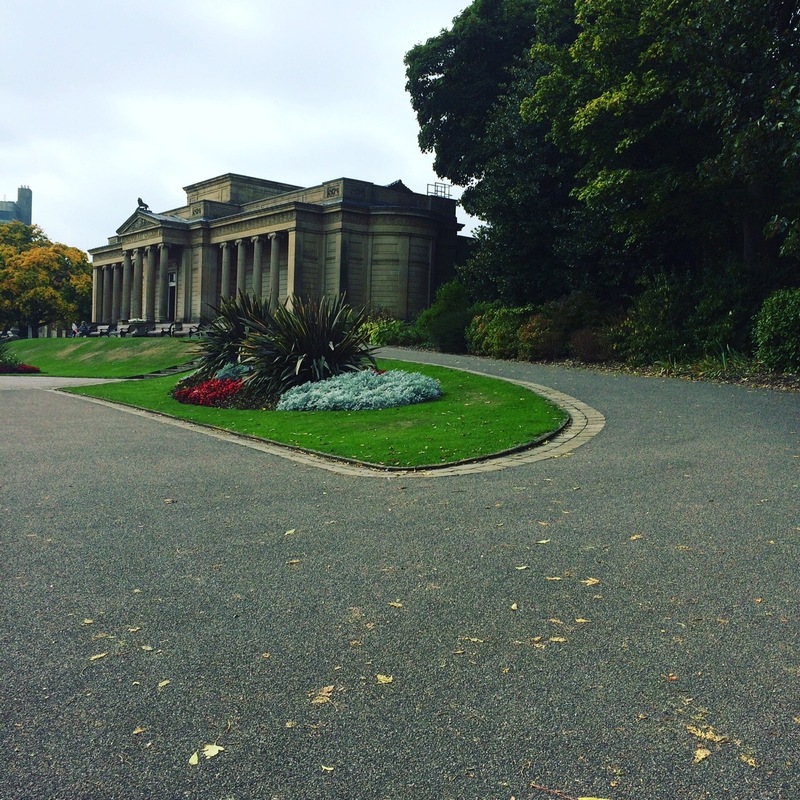 On the Saturday I took my parents to see my exhibition, and then we took a wander through Weston park and made a trip to the museum there. After a spot of lunch and a look around the museum we went for a drink and cake at Patisserie Valerie. 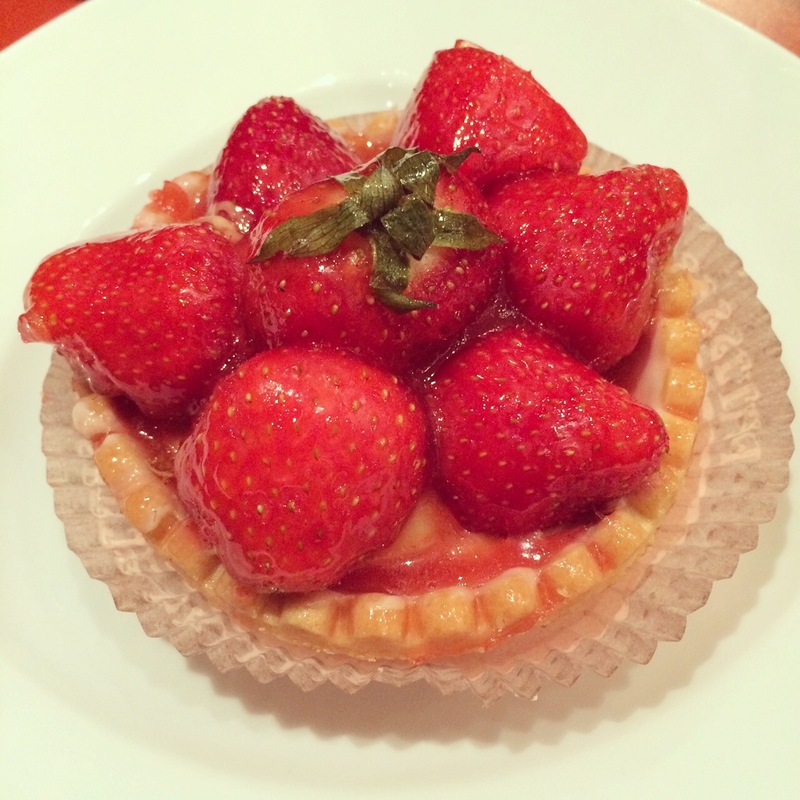 I had a strawberry tart which was so good! For tea we met up with Tom and went to Strada- none of us had ever been here before and we all really enjoyed it. 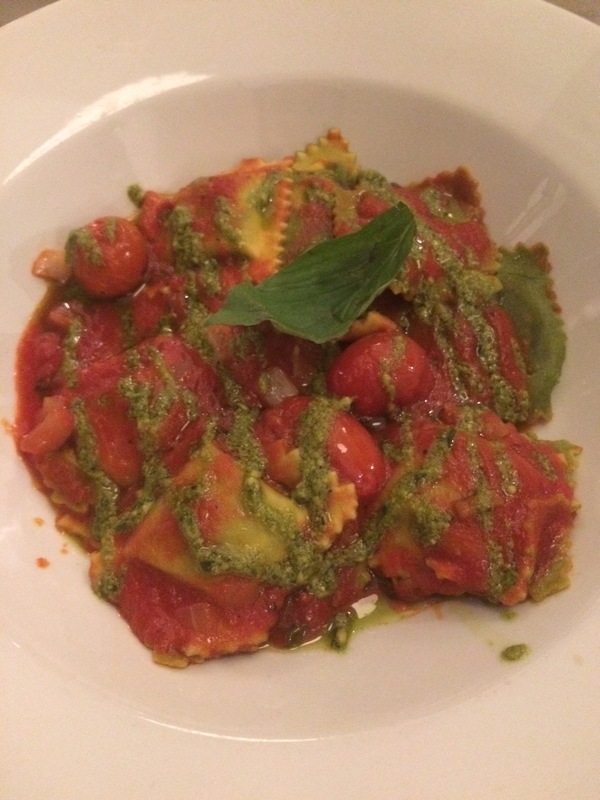 I opted for the Spinach and Ricotta Ravioli and this was super tasty. 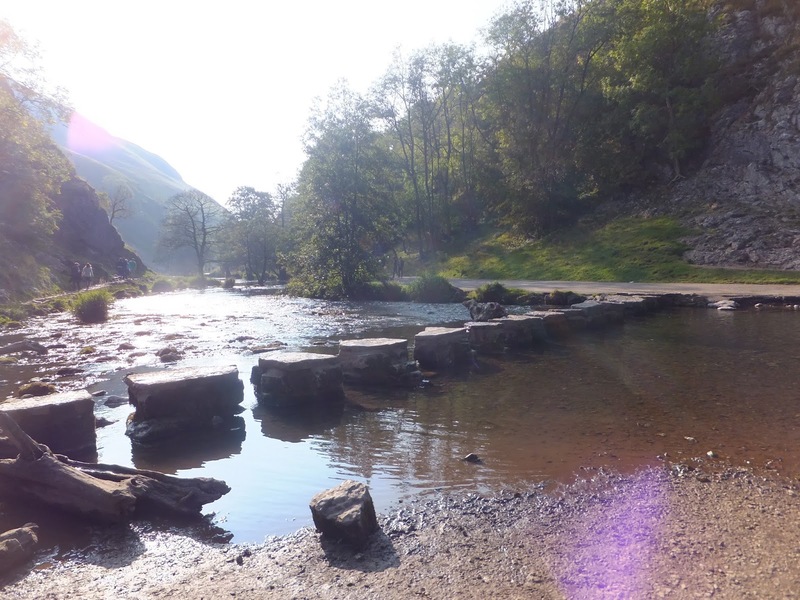 I definitely think we will be returning here again! 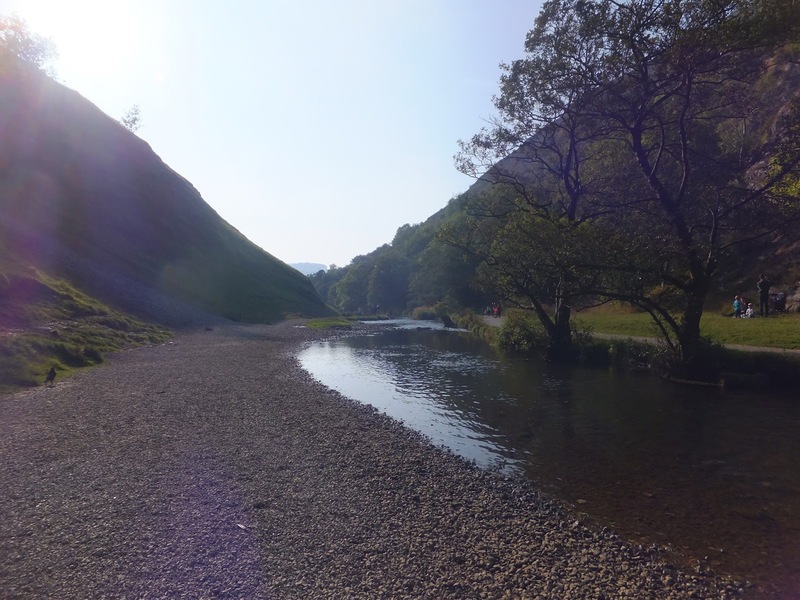 On the Sunday my parents and I took a drive down to Dovedale for a walk and it was such a beautiful day. 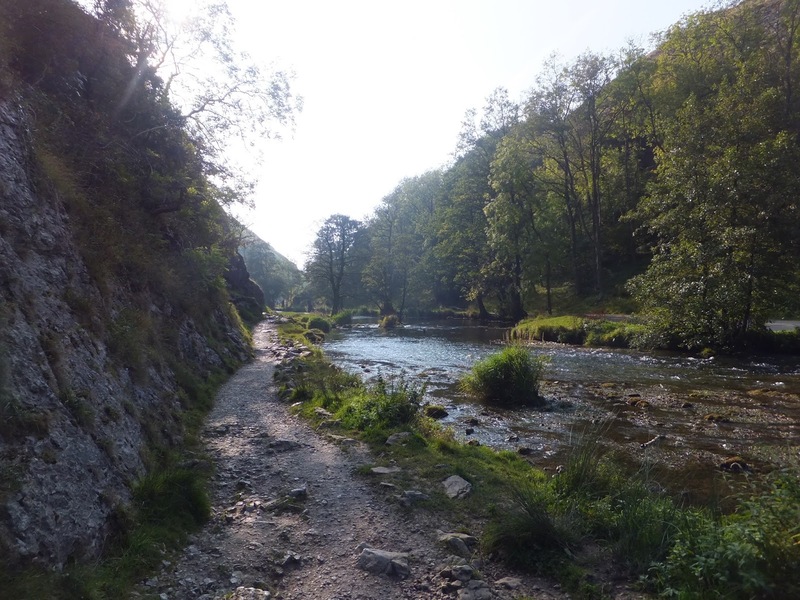 If you would like to see more photos/find out more about our trip please have a read of my blogpost about it! 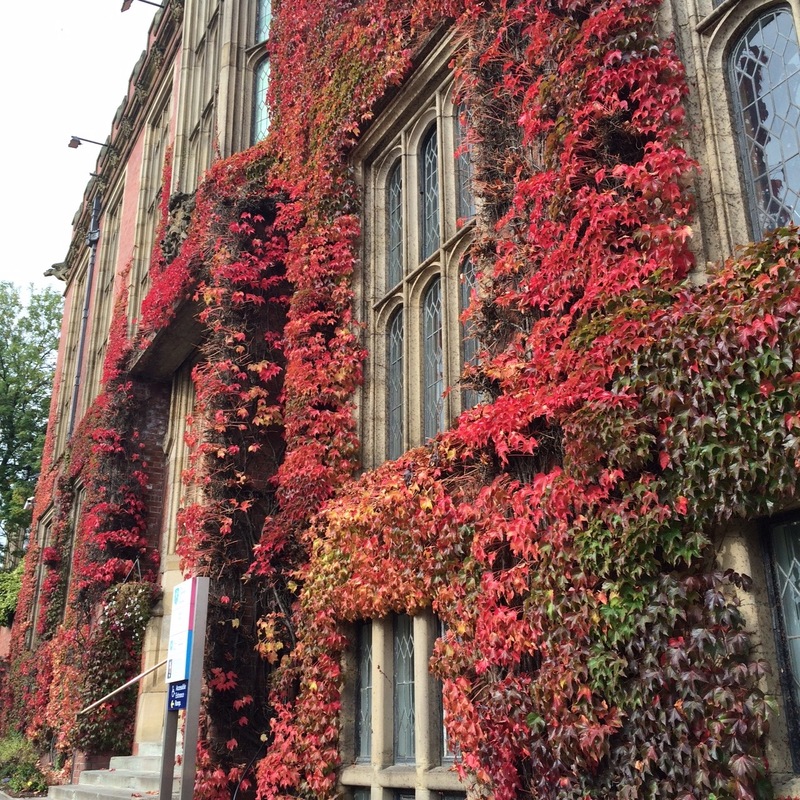 I'm so excited that everywhere is looking so autumnal now! Last night I went to an event put on by the union in collaboration with Lush, with my friend Nazma. 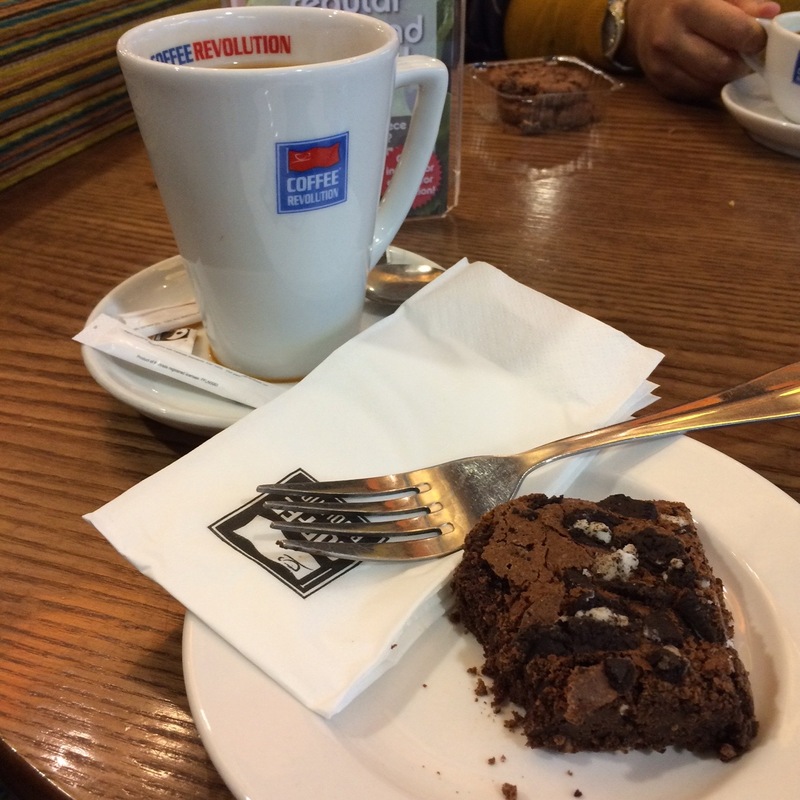 Before the event we had a quick stop at Coffee Revolution in the union where I had a tea and a oreo brownie. I really need to look up a recipe for these! 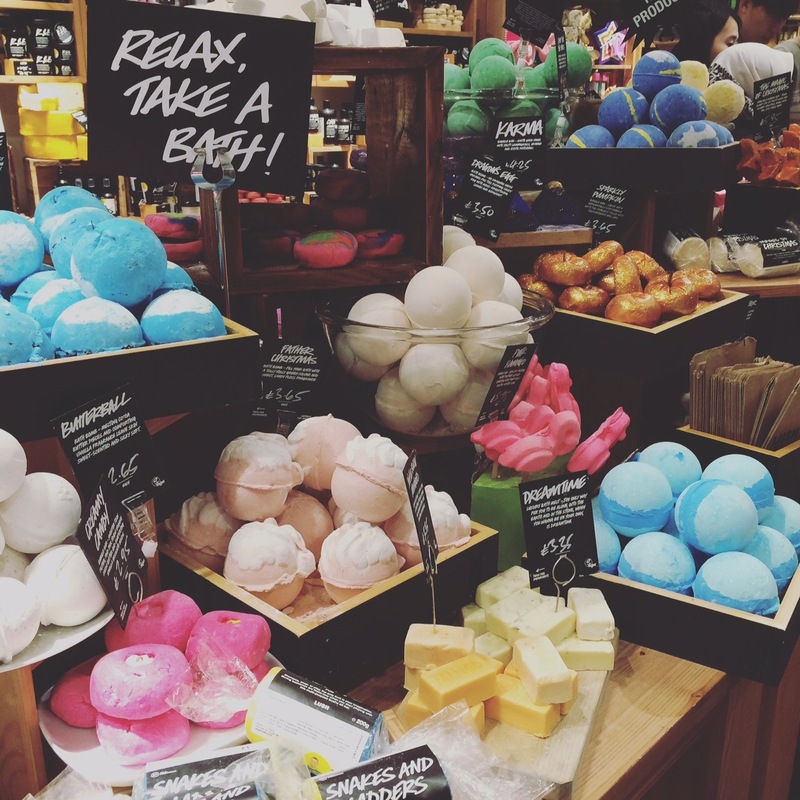 For the actual event we were taken to the Lush shop in the city centre, where we got to make our own bubble bar and bath bomb, along with being able to try out the different products and pick up a few things! I love that they now have their seasonal products out, and I really enjoyed being able to make my own products which I'll be able to use in future bath times. Wow that was a busy fortnight! I can't believe that I nearly forgot, but of course I watched the bake off final! This was a lovely evening as I had been out with a group of friends for Jade's birthday, and so we went back to their house after our meal to watch it together. Have you been watching the bake off? What did you think of the final? Let me know what you've been up to recently! 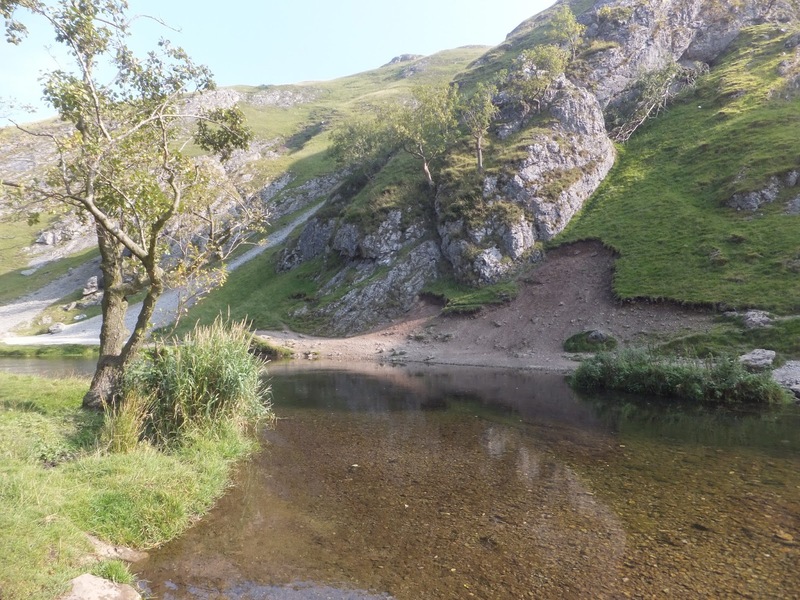 As you can see it's such a beautiful place and this is only a selection of photos as I took so many! 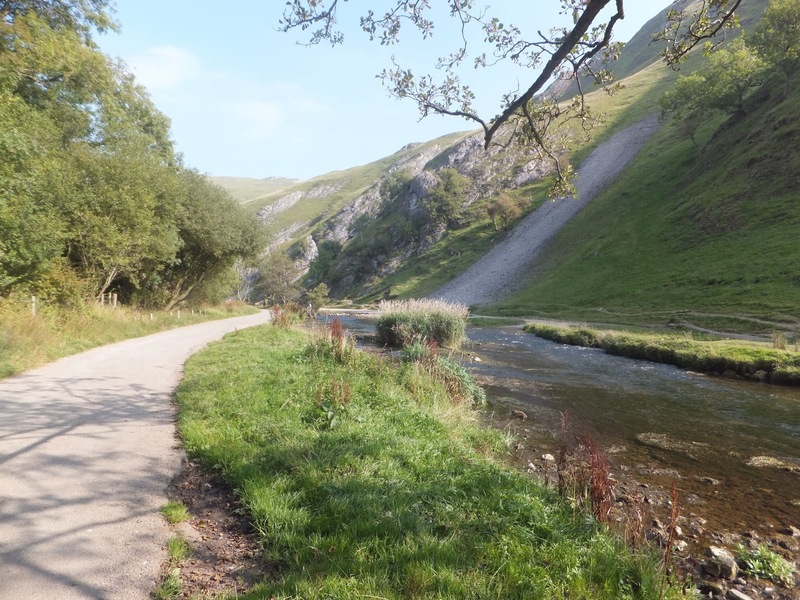 If you're ever in the area, or are thinking of taking a holiday in the UK somewhere I really would recommend coming up to the peaks, and visiting Dovedale. 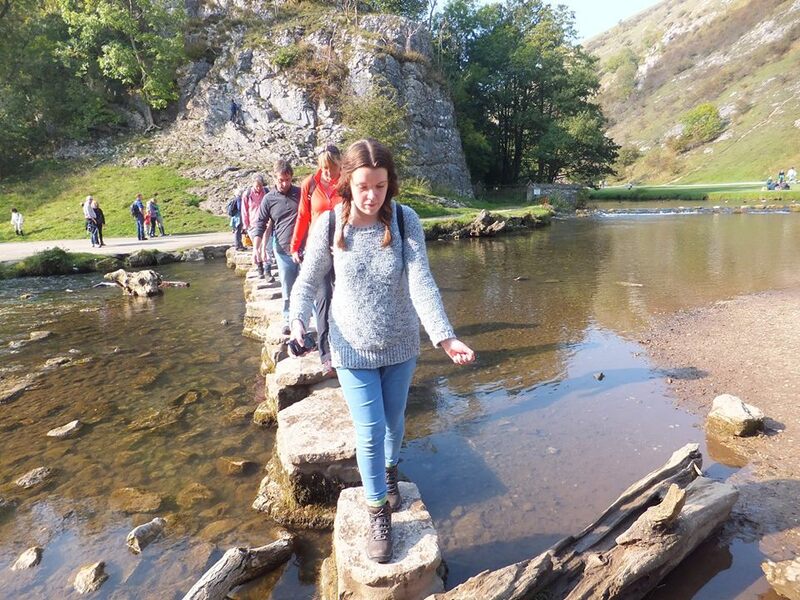 (I look calm and composed on the stepping stones but it made my legs feel like jelly! 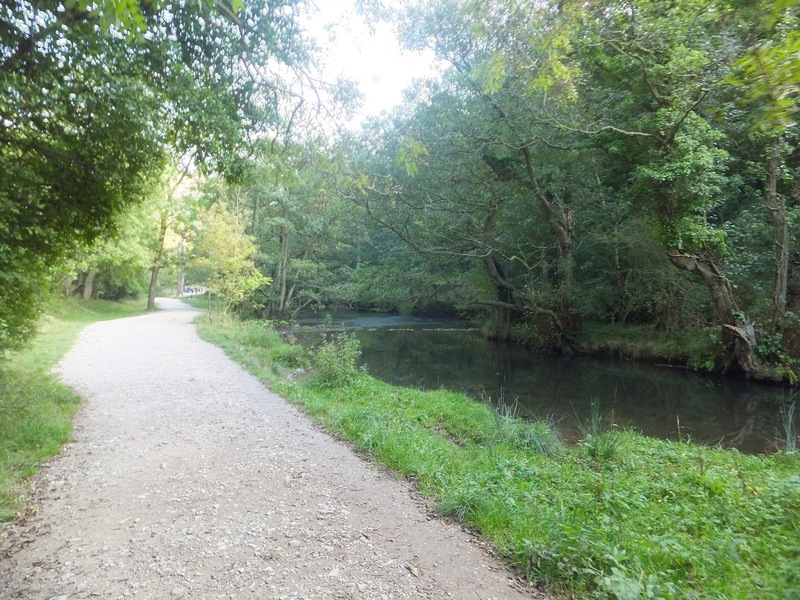 Every time I cross and every time I feel like I'm going to fall in). 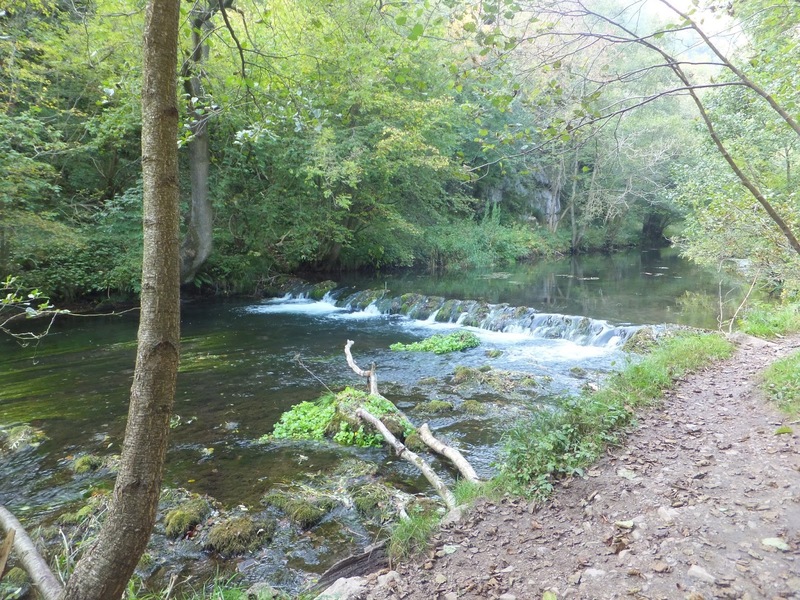 It was so lovely to return to one of my favourite walks and I look forward to being able to return soon. 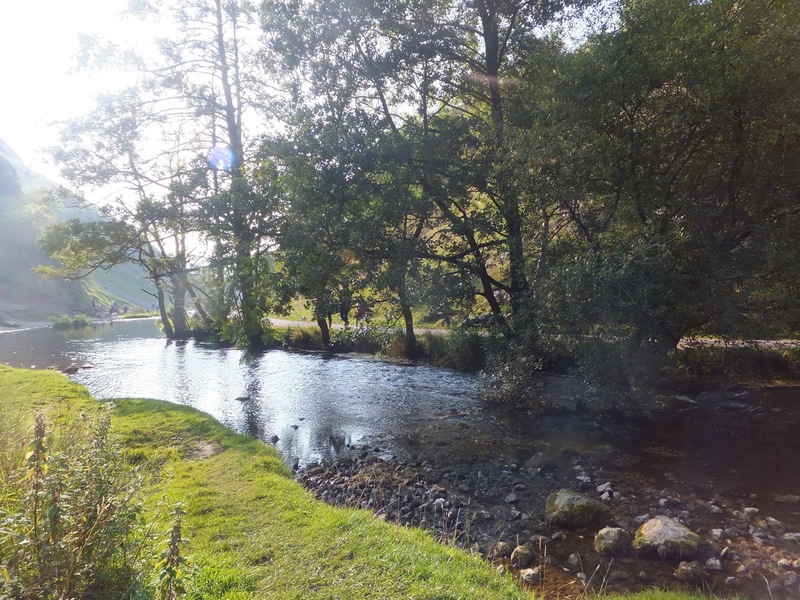 What are some of your favourite places to visit? 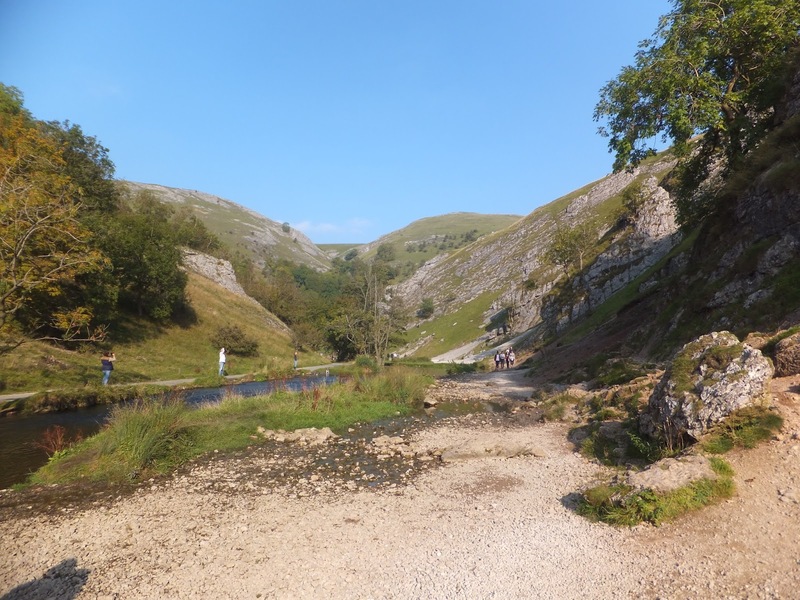 I want to add new places to my 'must visit' list!